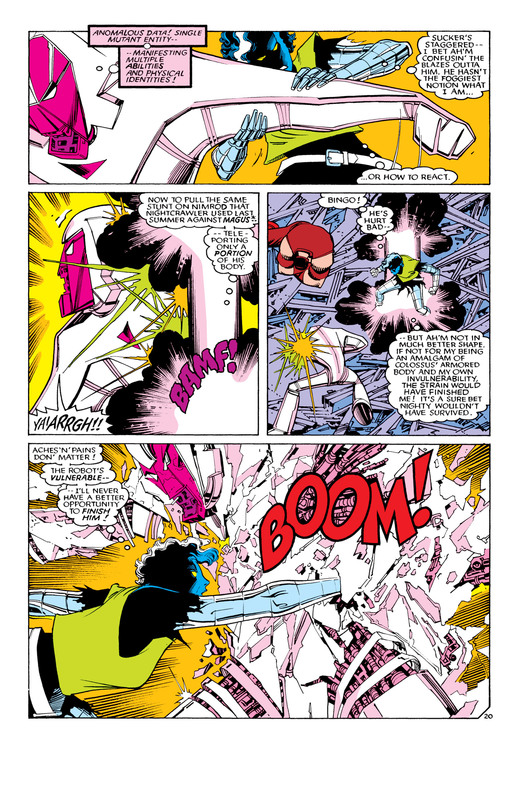 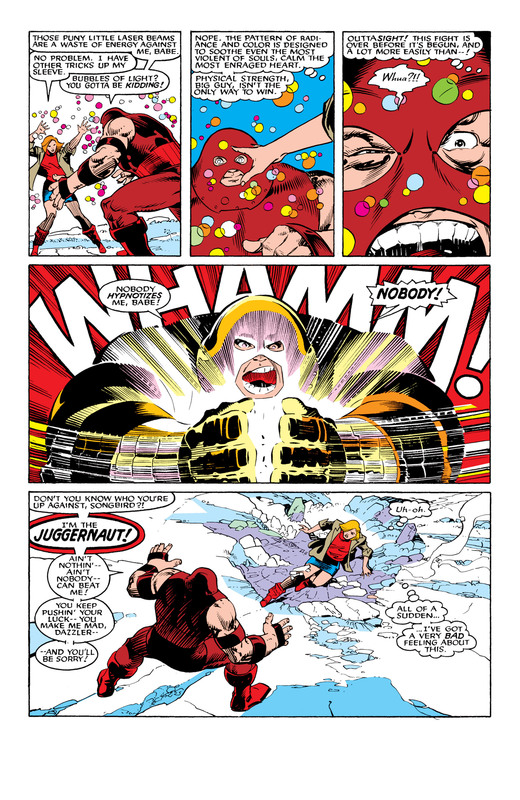 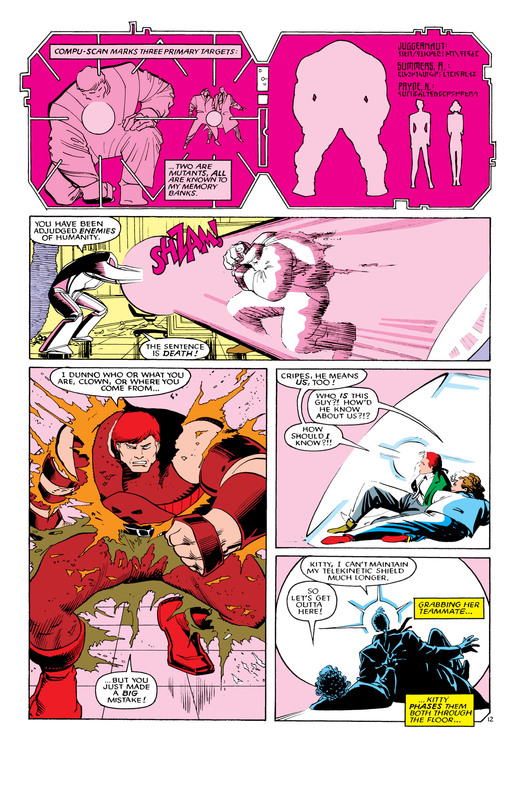 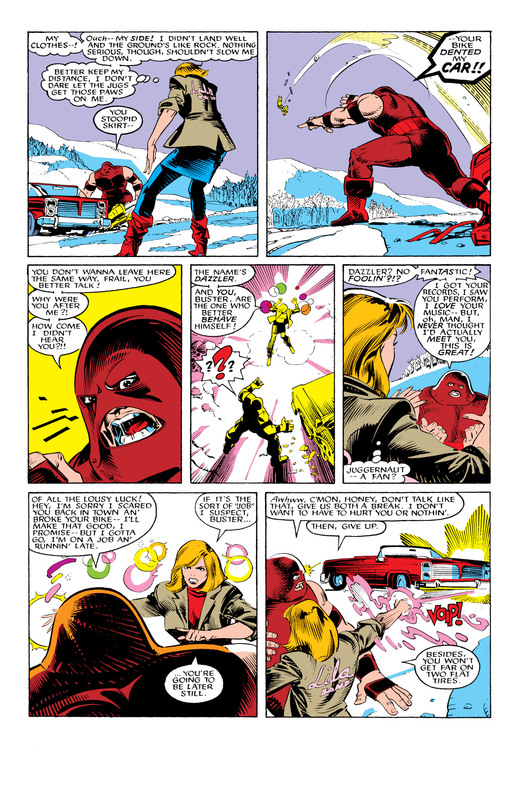 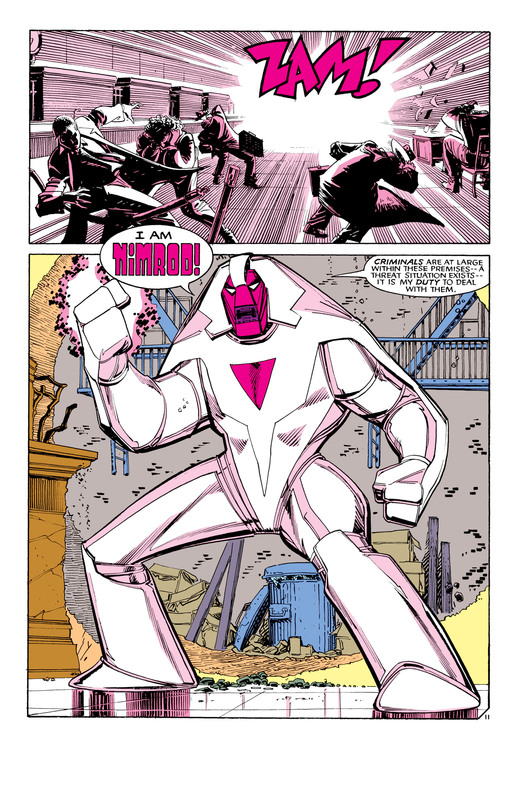 This entry was posted in Dazzler, Juggernaut, Marvel Comics, Uncanny X-Men, Versus, X-Men and tagged dazzler, juggernaut on February 24, 2016 by lowbrowcomics. 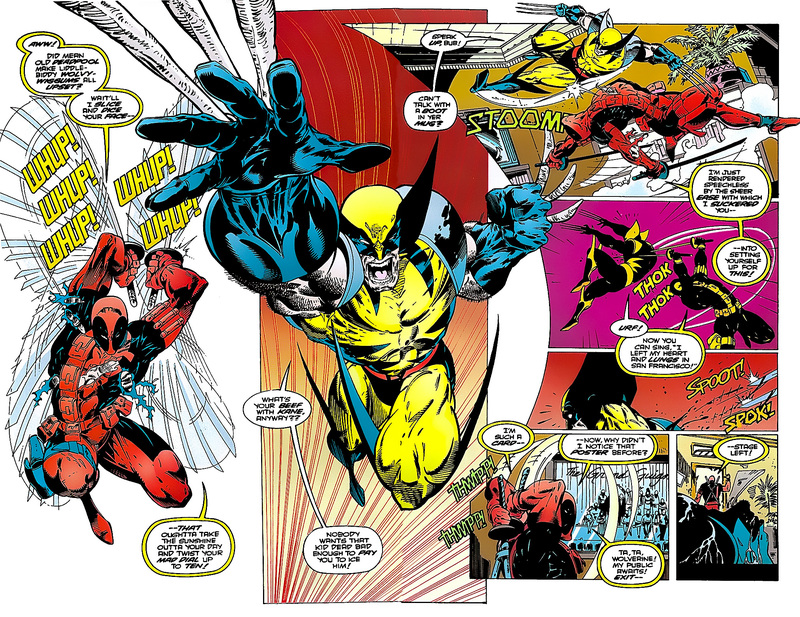 This entry was posted in Deadpool, Marvel Comics, Uncanny X-Men, Versus, Wolverine, X-Men and tagged Deadpool, VS, wolverine on February 23, 2016 by lowbrowcomics. 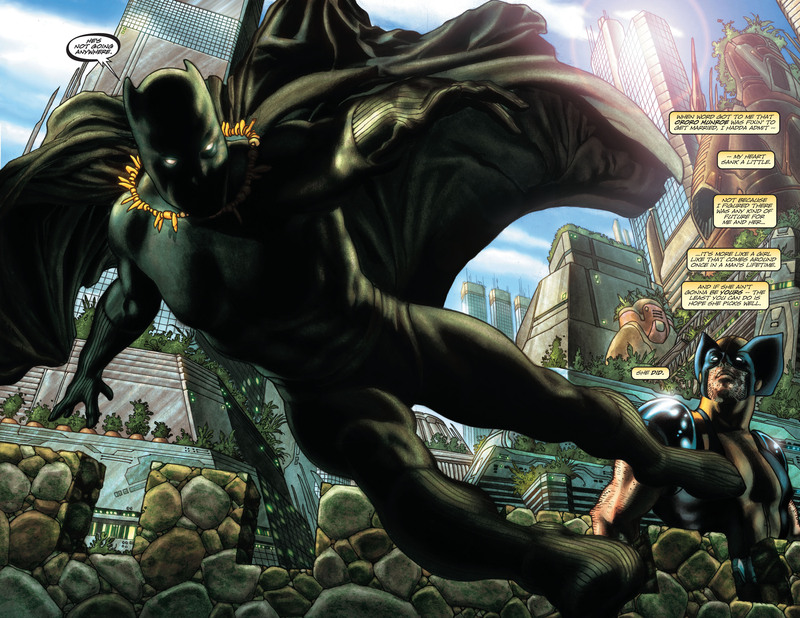 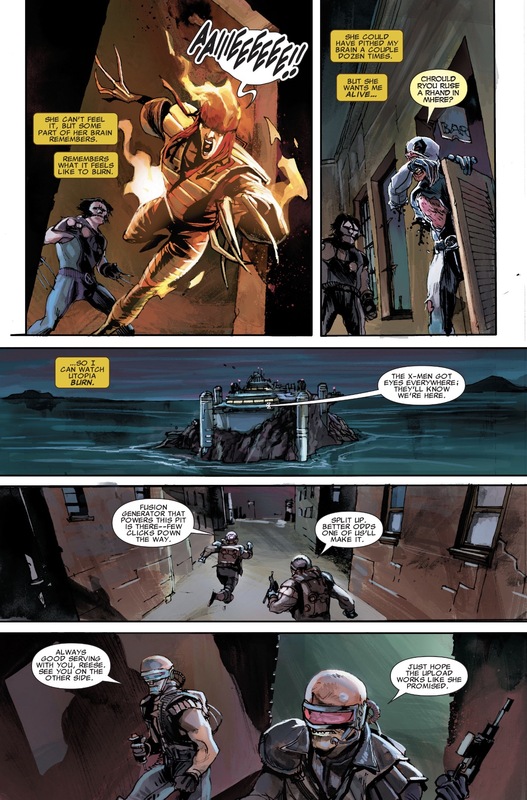 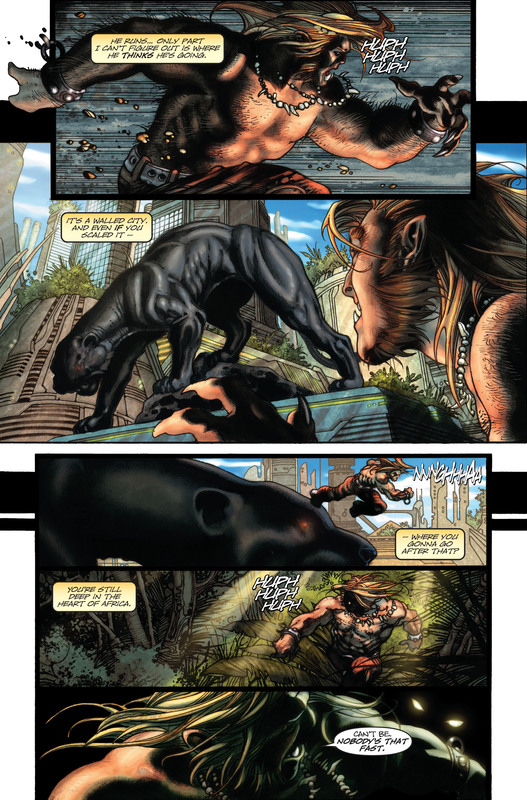 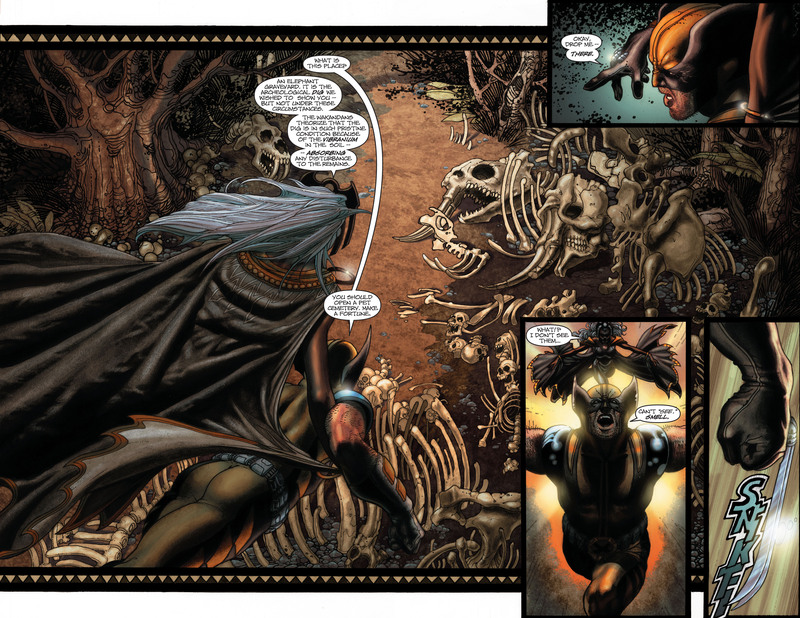 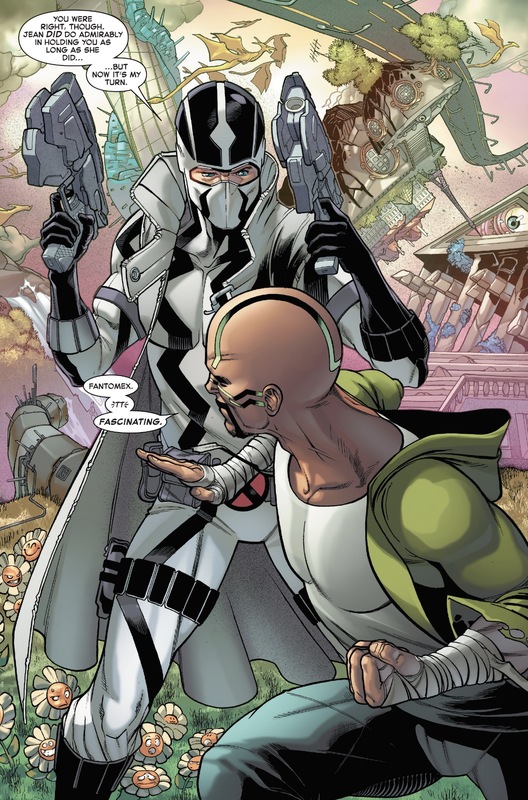 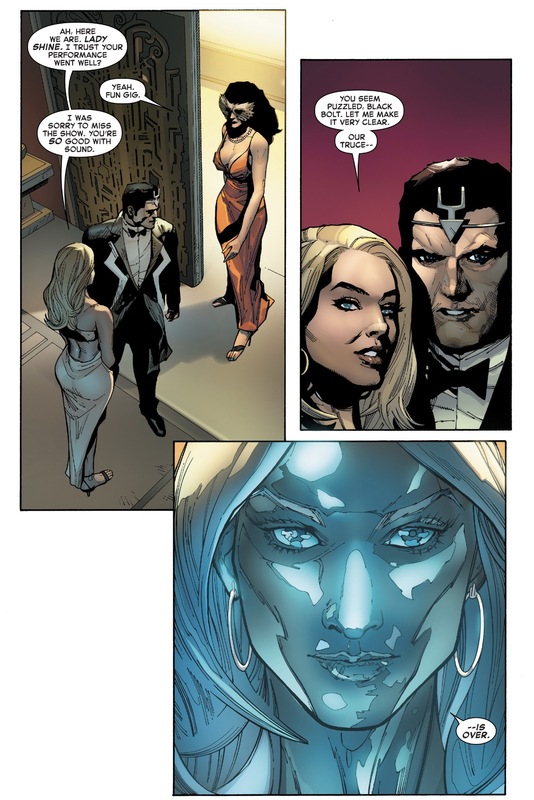 This entry was posted in Black Panther, Marvel Comics, Versus, Wolverine, X-Men and tagged storm, wakanda, x-men on February 5, 2016 by lowbrowcomics. 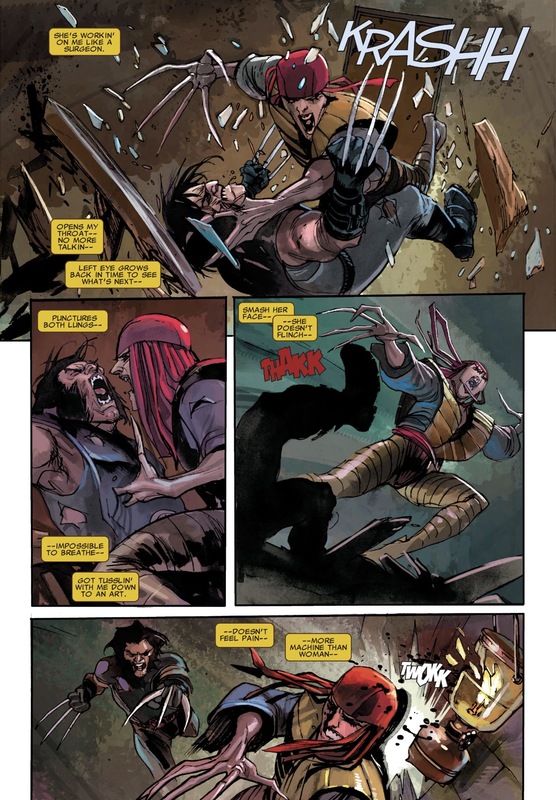 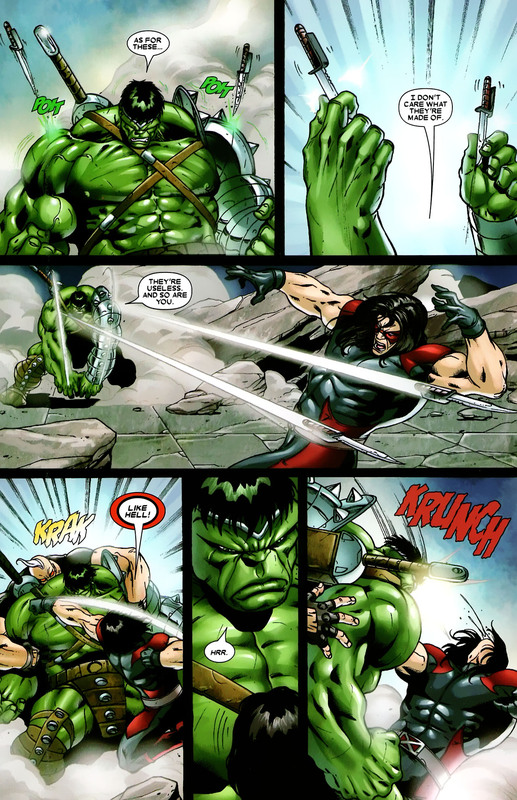 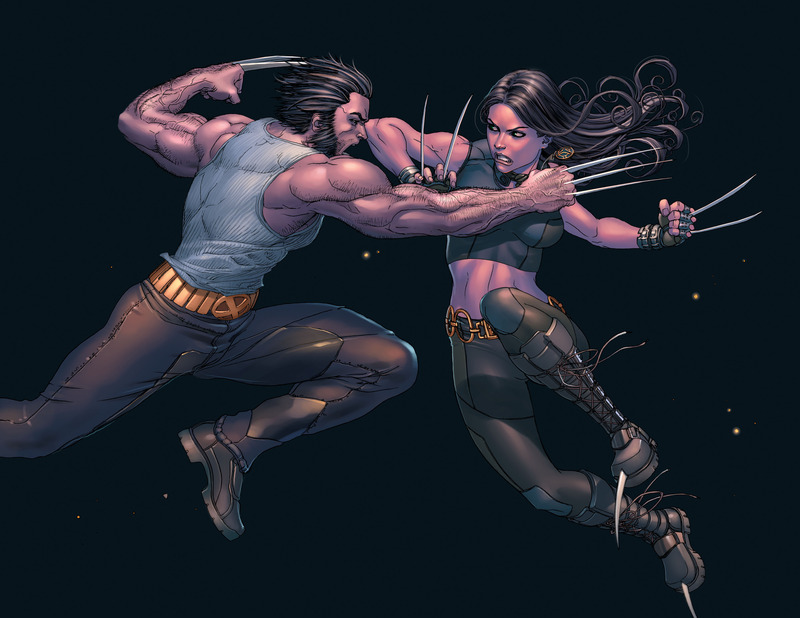 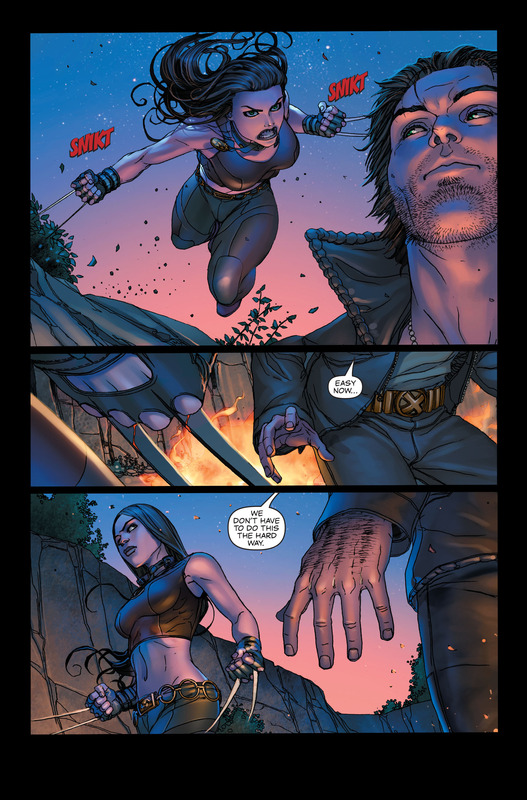 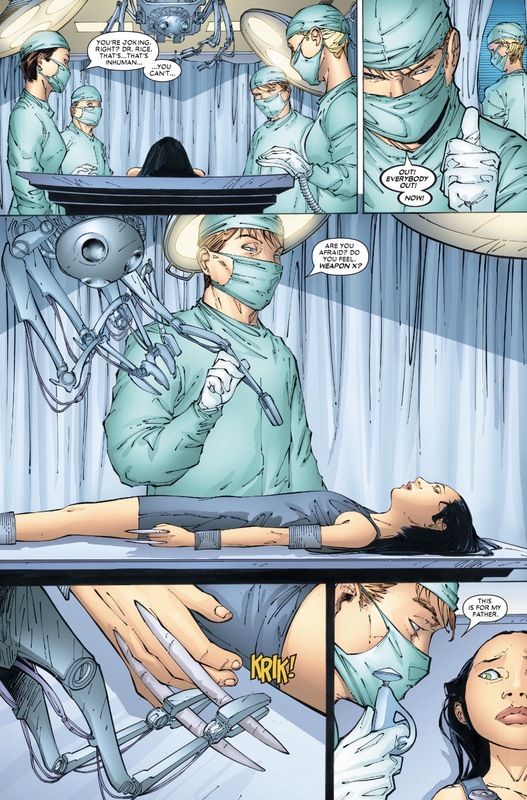 This entry was posted in Marvel Comics, Uncanny X-Men, Versus, weapon x, Wolverine, X-Men and tagged wolverine, X-23 on February 5, 2016 by lowbrowcomics. 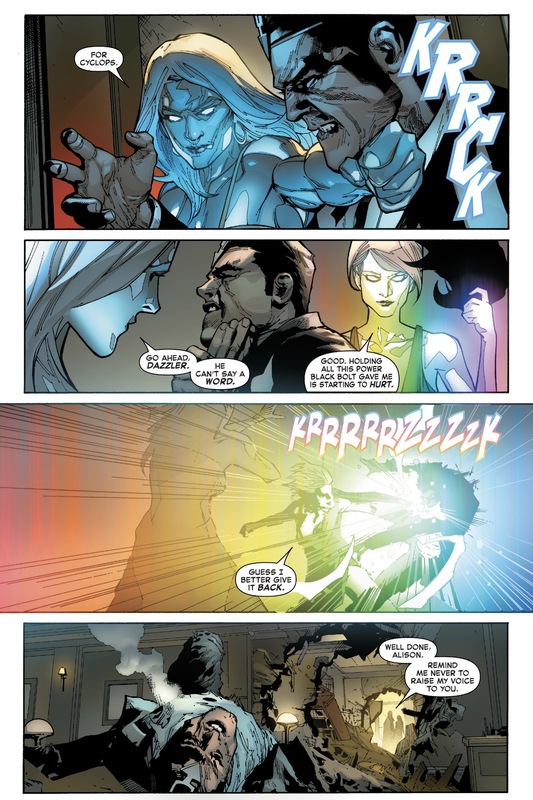 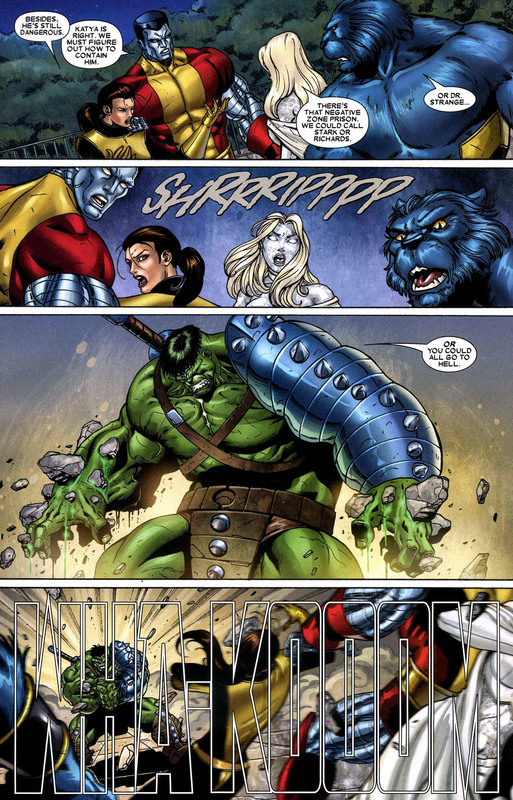 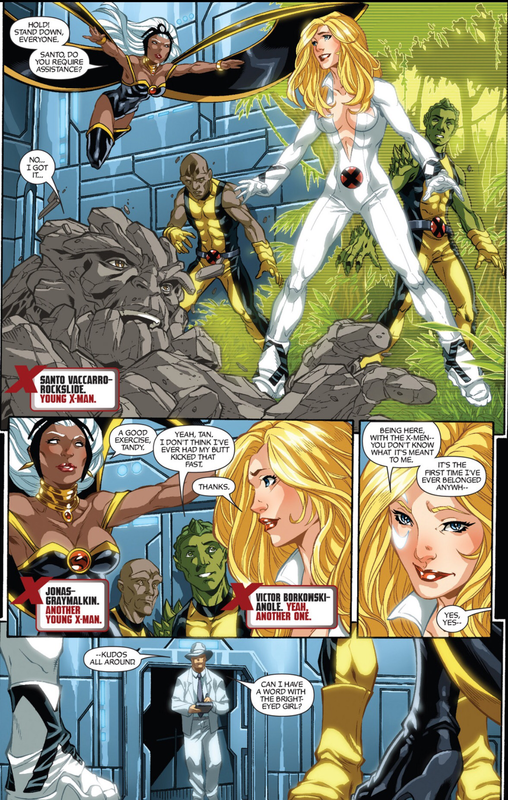 Magik convinces Colossus to re-join the team. 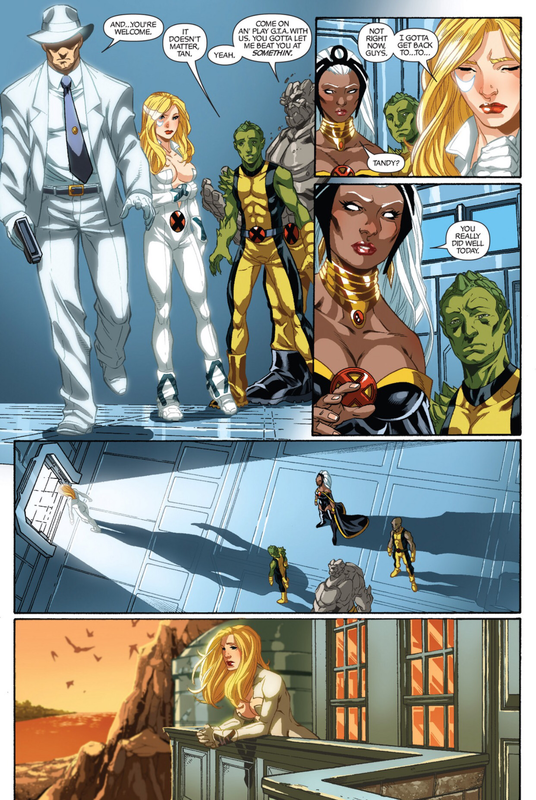 Following the events of AXIS, Avengers vs. X-Men and the death of Charles Xavier at the hands of a Phoenix possessed Scott Summers, the Avengers, Earth’s Mightiest Heroes, and the Uncanny X-Men join forces to create a multiracial team to preserve the peace and hopefully improve mutant/human relations. 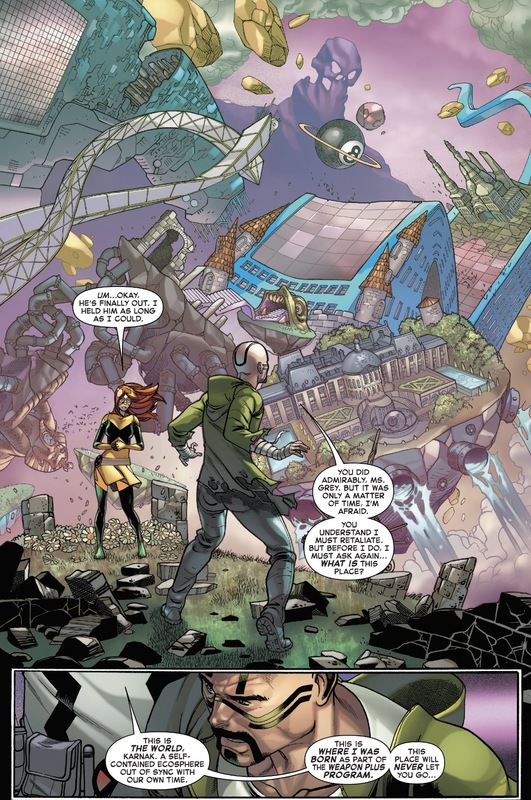 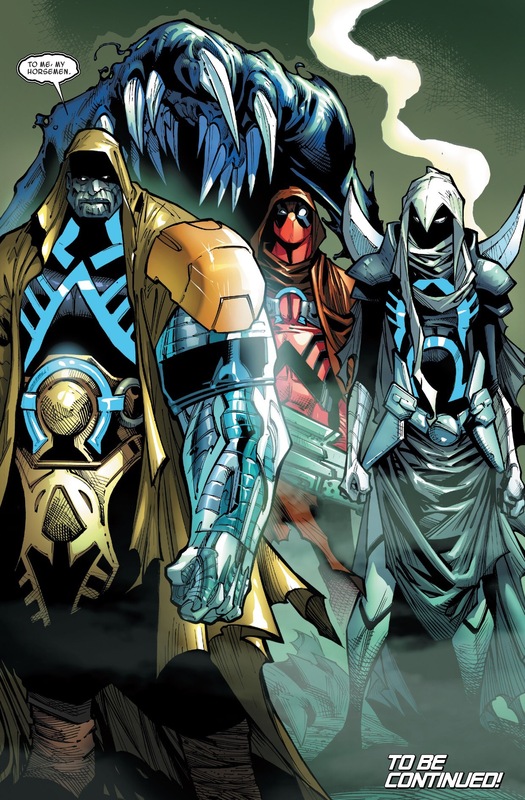 Alex Summers; code-named Havok, flanked by members of both teams, holds a press conference to discuss the future of the Uncanny Avengers and the mutant population as a whole. 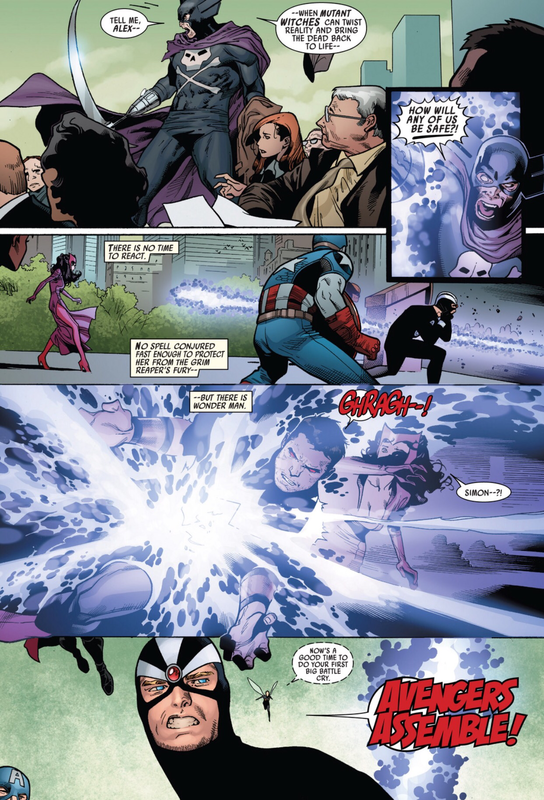 The conference was going well enough until it was interrupted by the Grim Reaper, brother of Avenger Simon Williams; code-named Wonder Man. 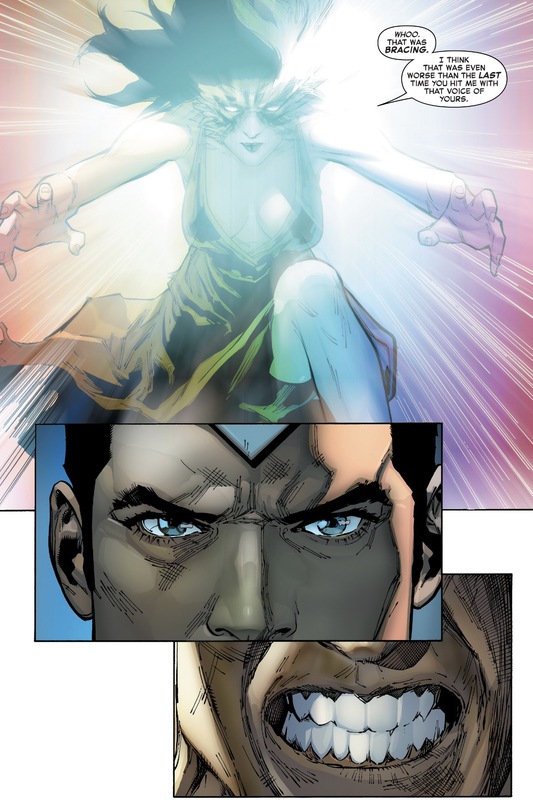 A battle ensues with the eyes of the world upon them. 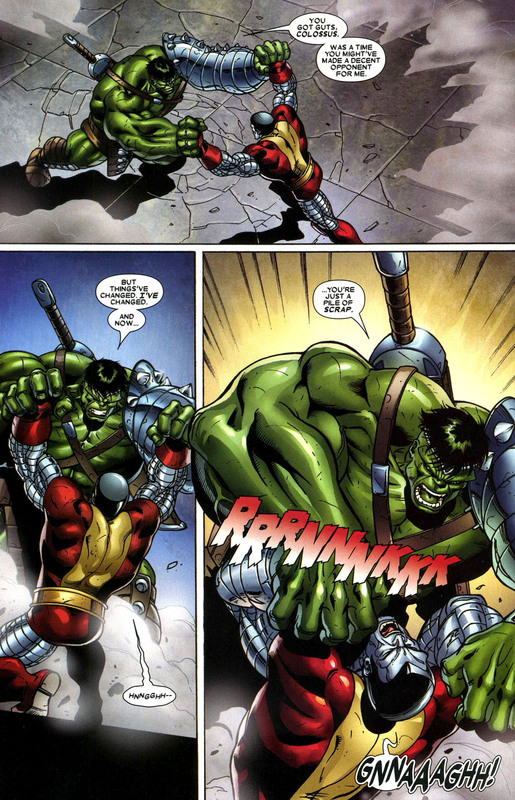 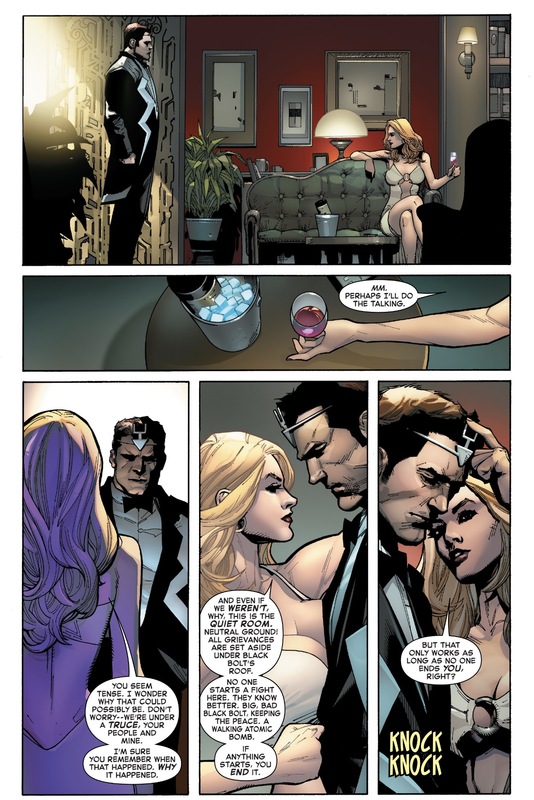 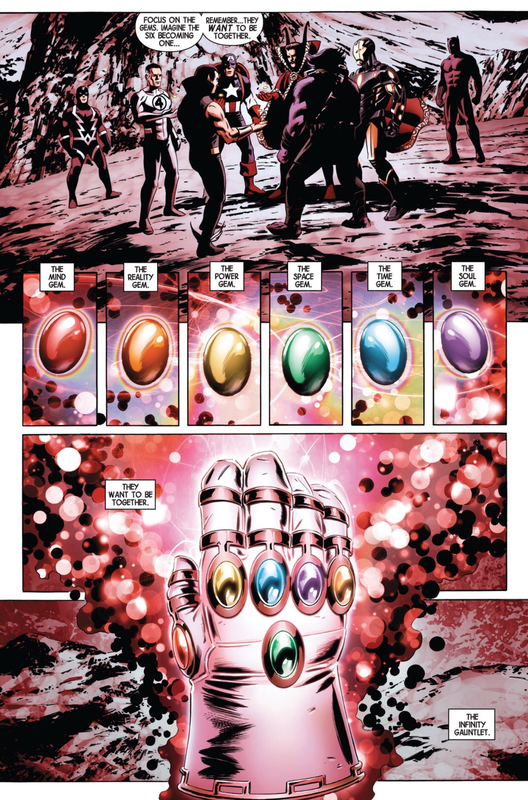 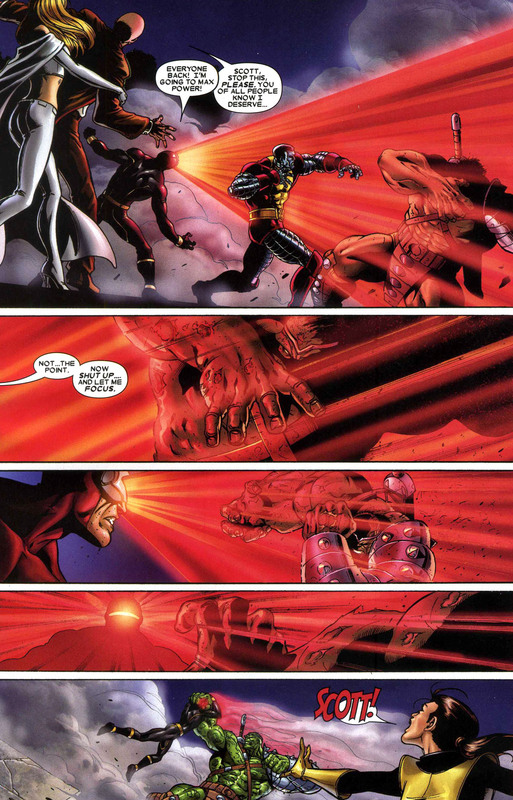 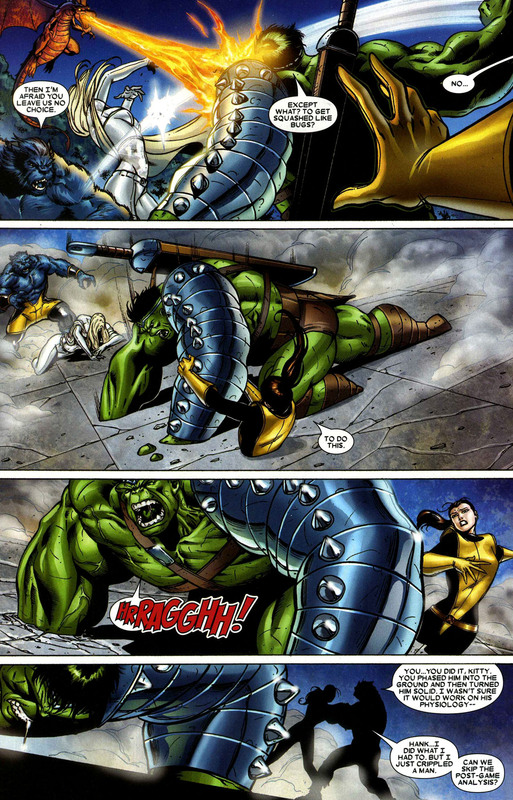 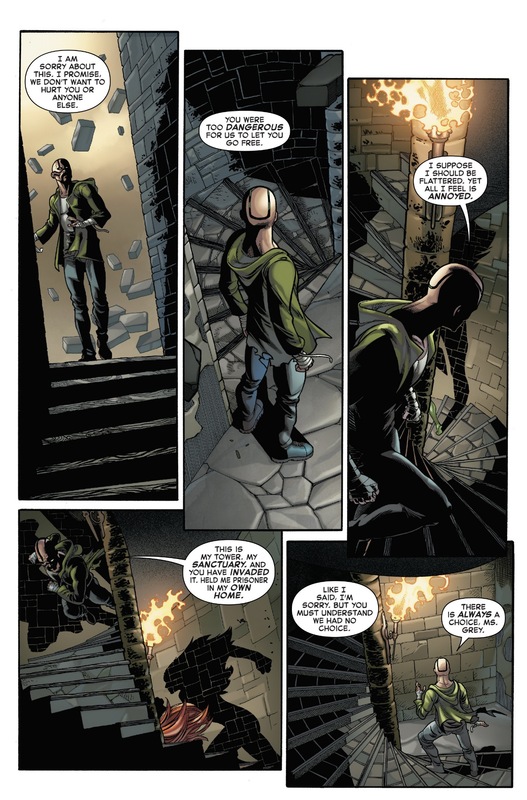 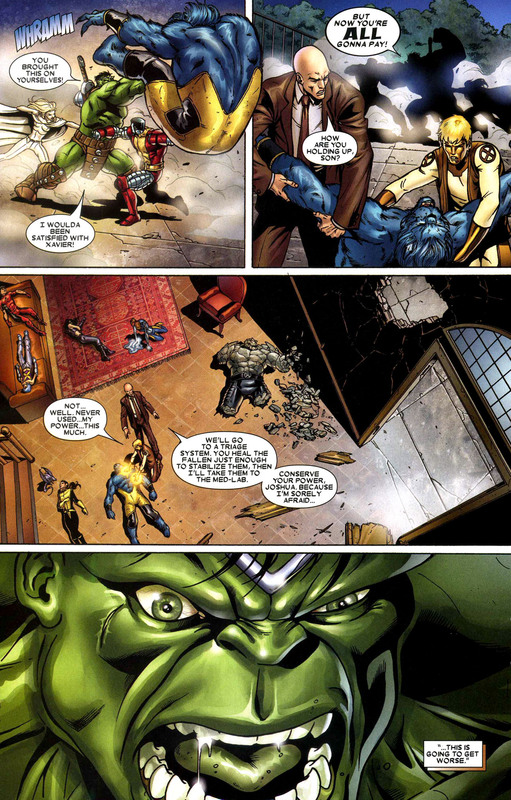 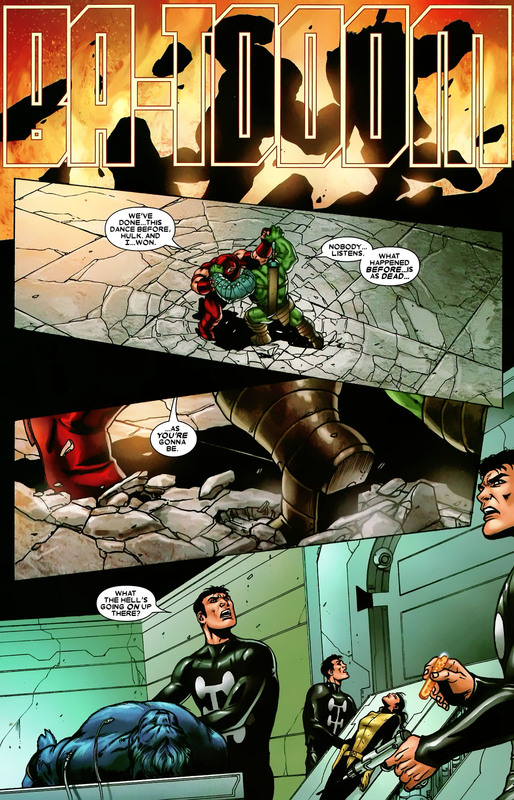 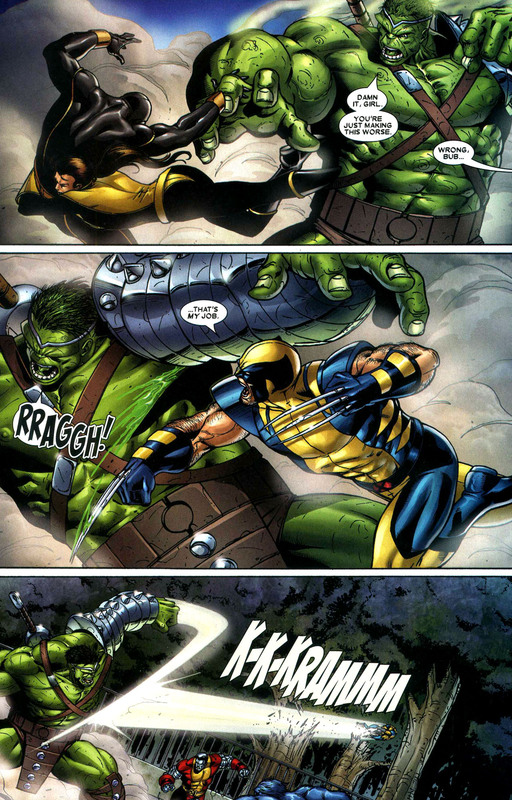 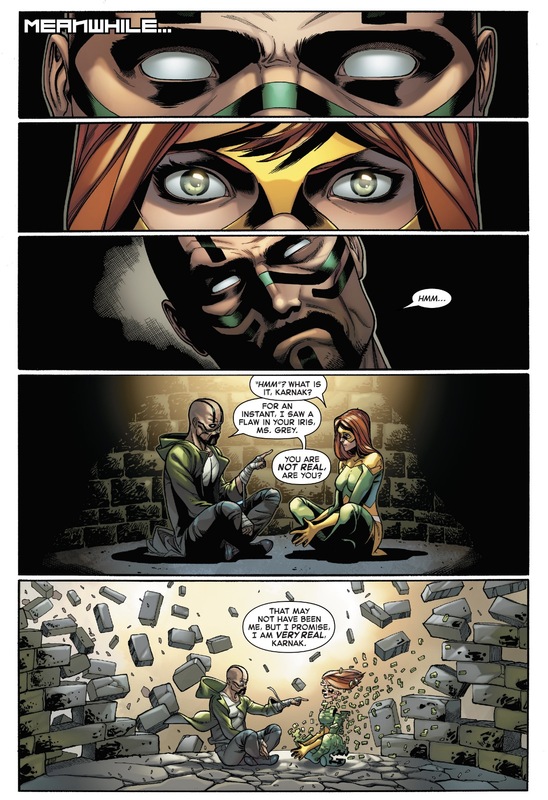 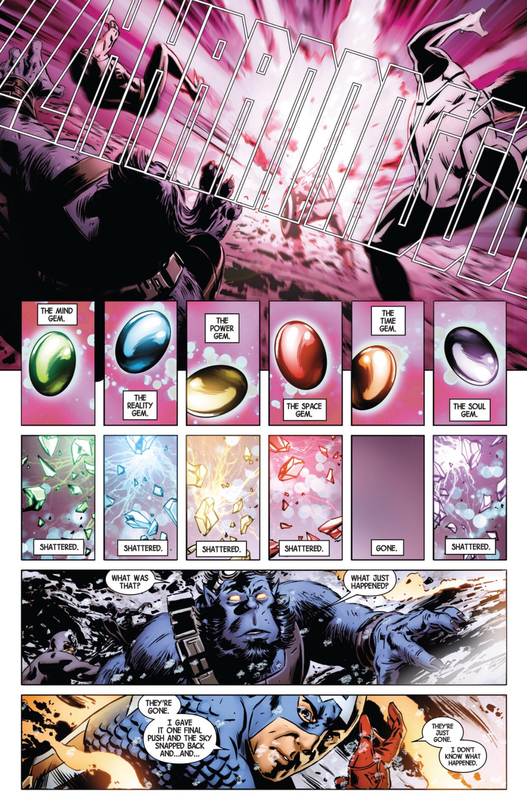 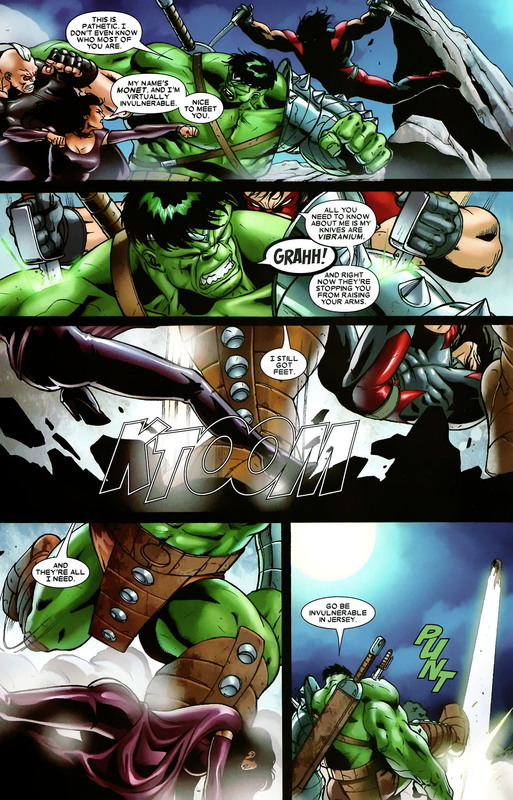 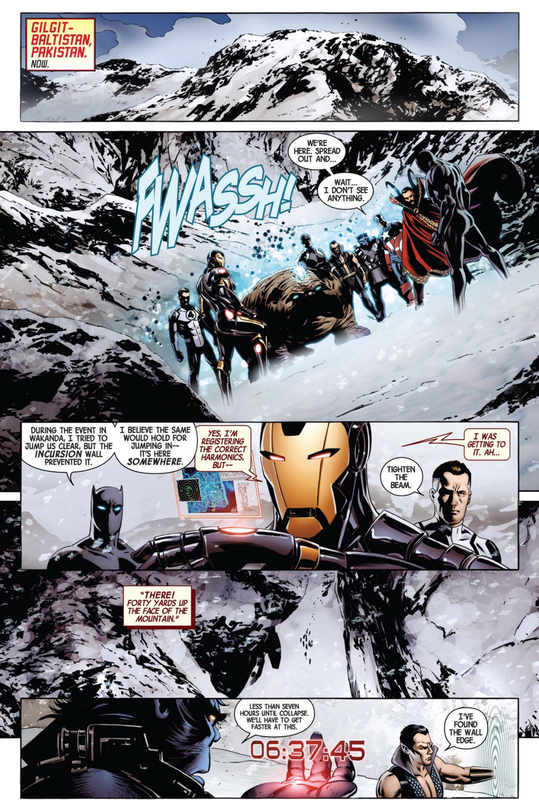 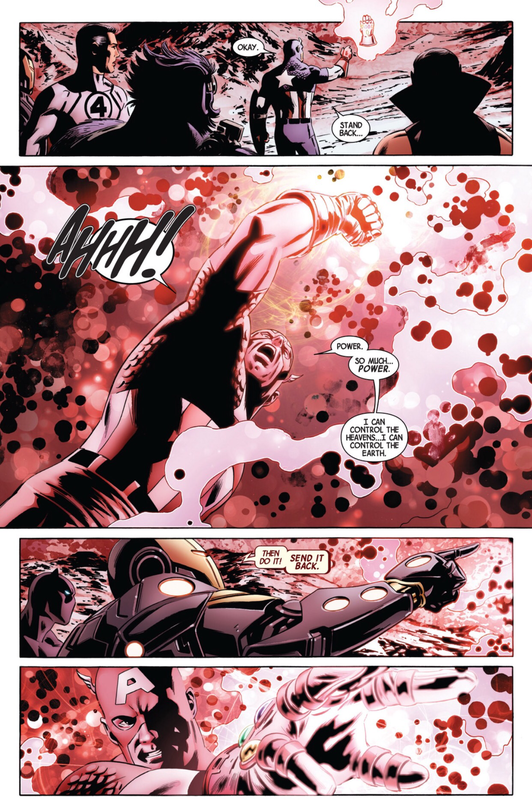 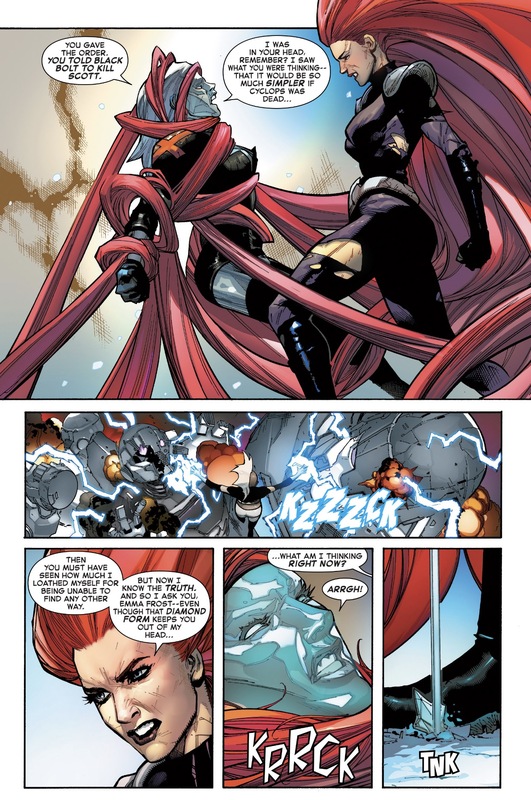 This entry was posted in Avengers, X-Men on June 4, 2015 by lowbrowcomics. 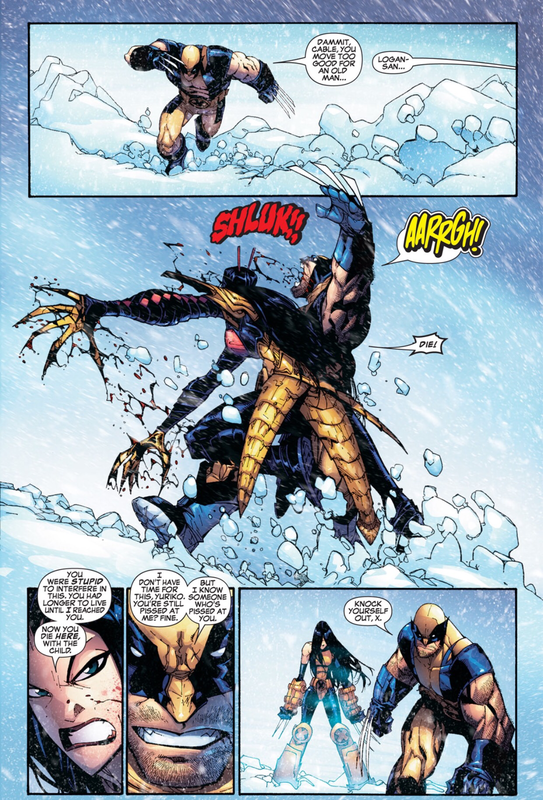 Meanwhile the Marauder Sabretooth and X-Man Wolverine fight and Sabretooth follows Logan home to the X-Mansion. 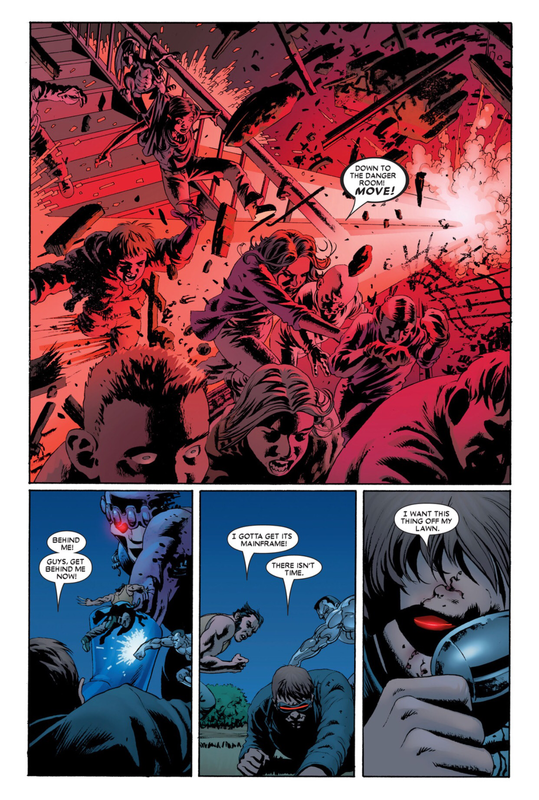 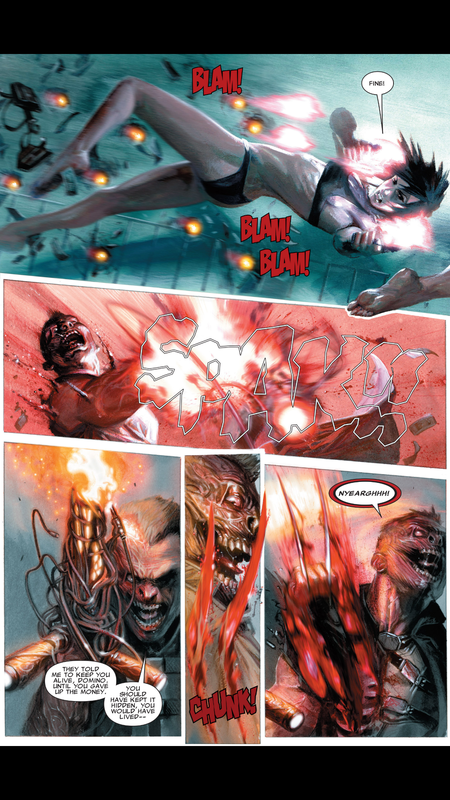 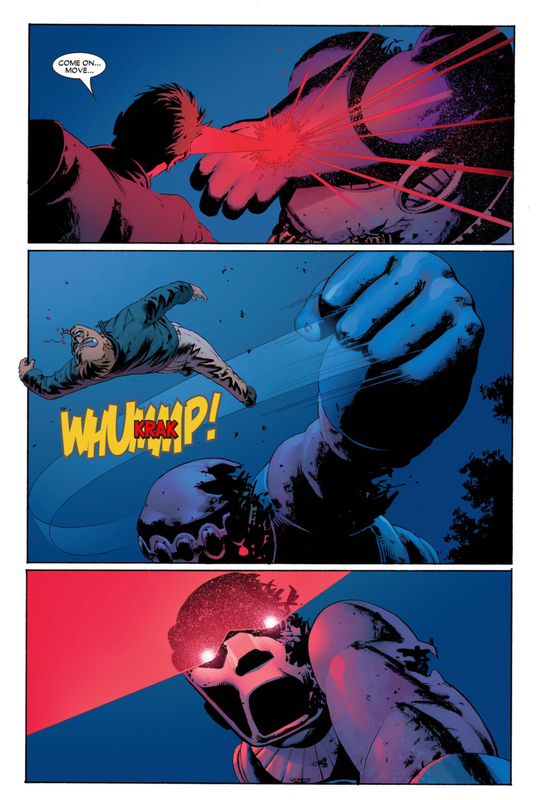 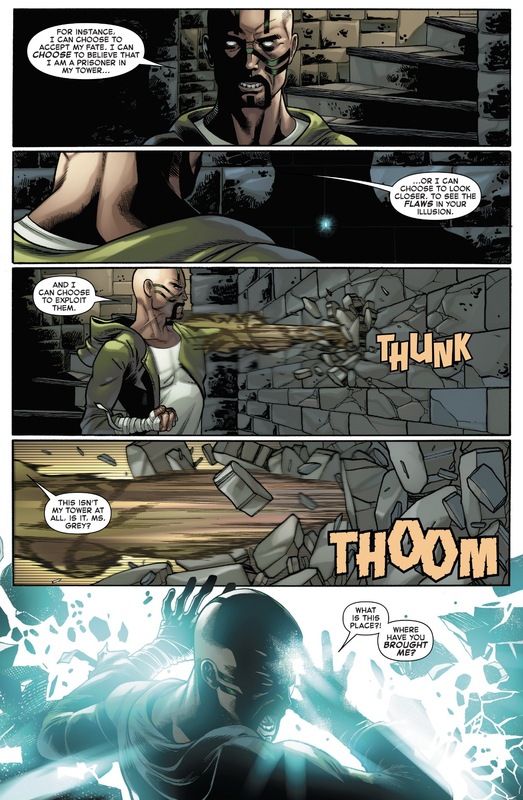 He destroys Cerebro, but is kept from hurting the other Morlocks when Psylocke engages Sabretooth in battle. 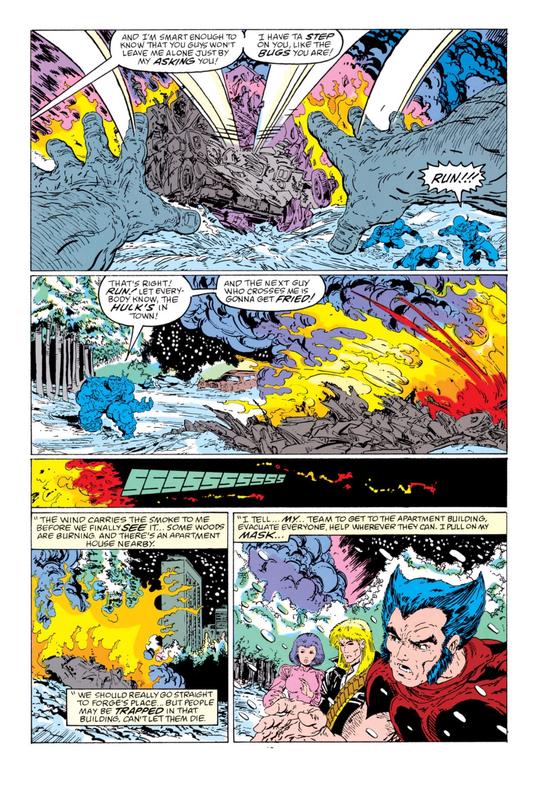 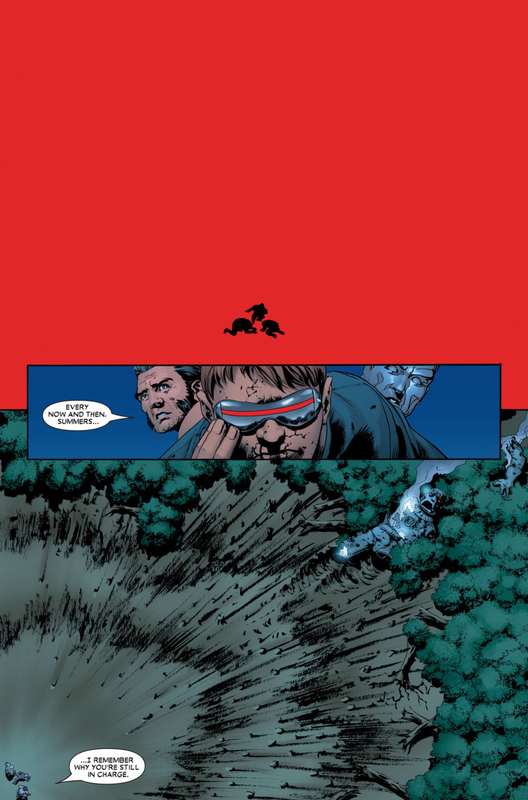 Wolverine and the rest of the X-Men arrive and Sabretooth falls off a nearby cliff in order to escape the X-Men, pursued into the water by Wolverine. 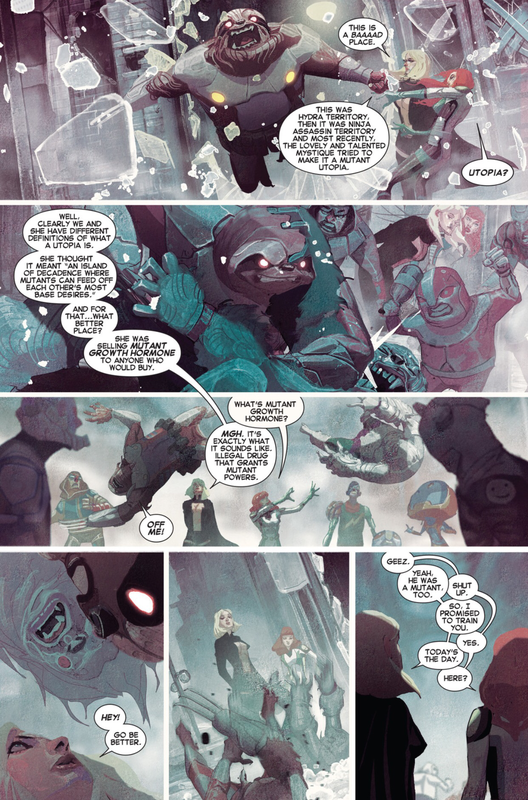 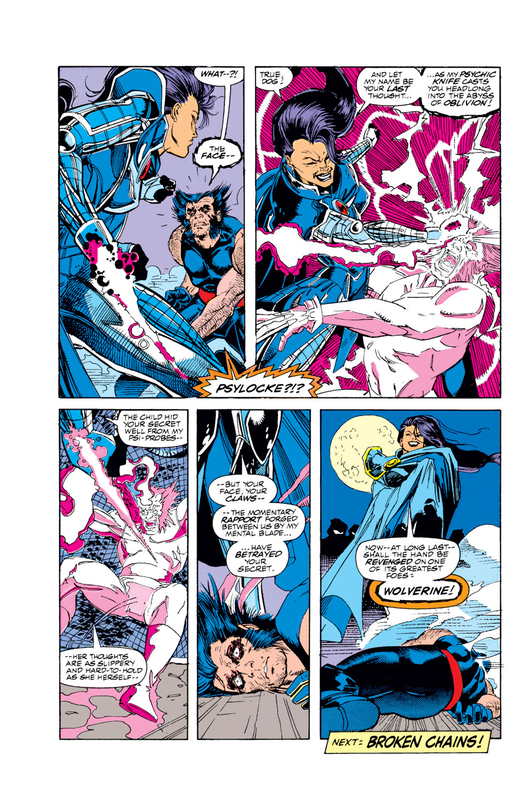 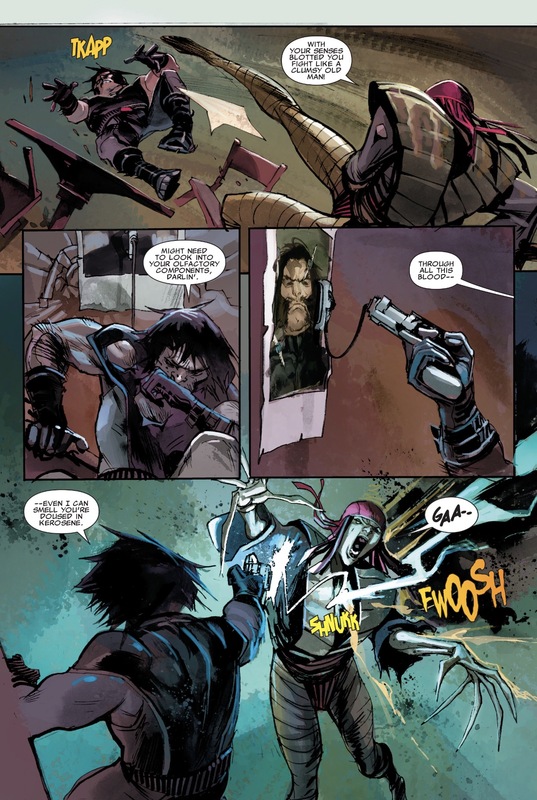 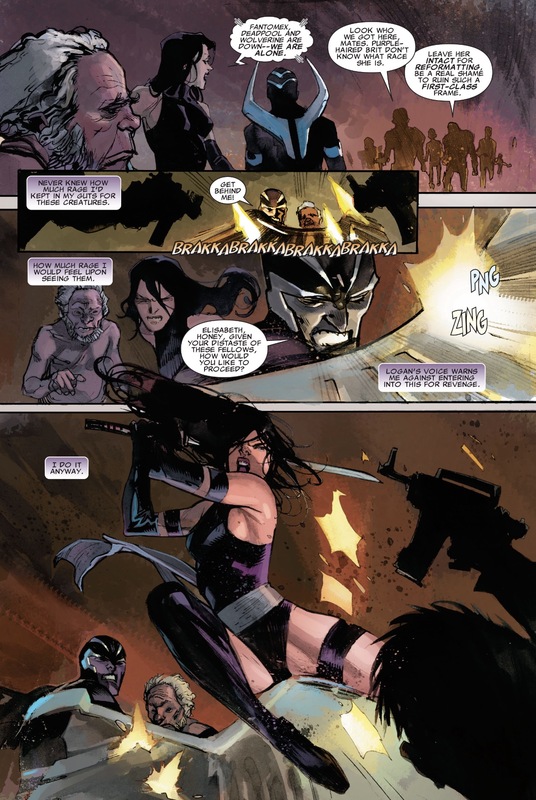 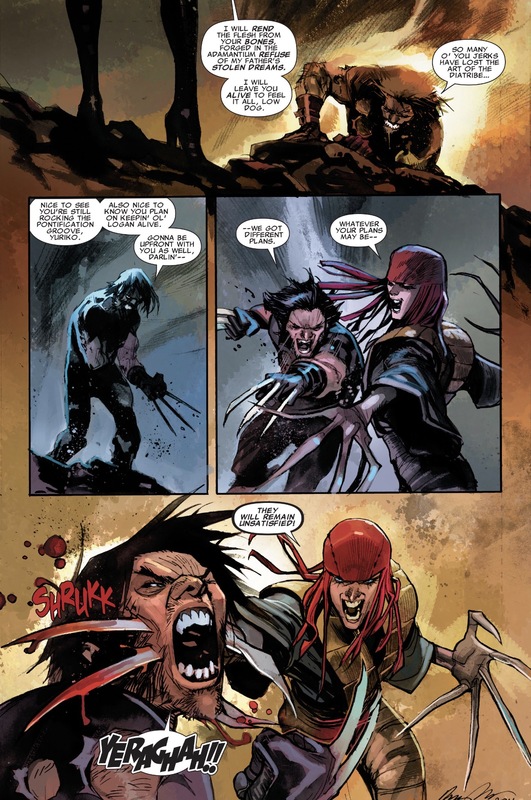 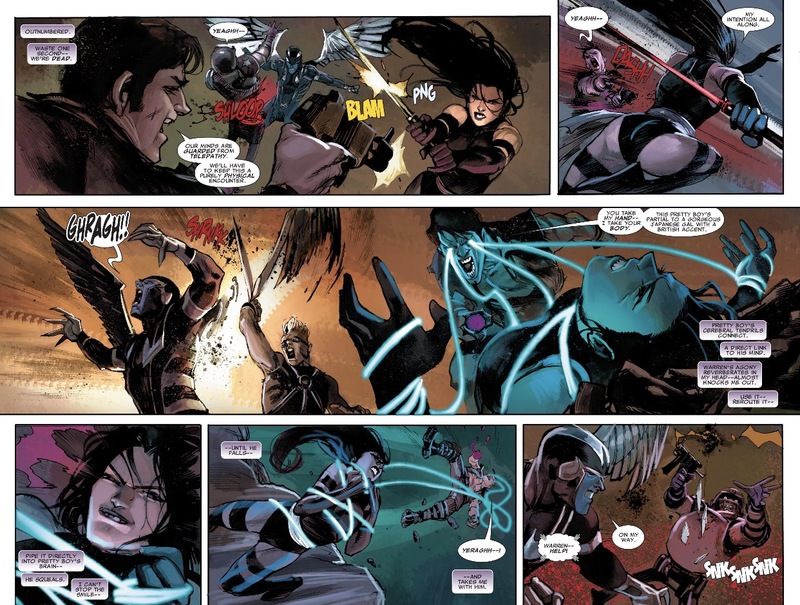 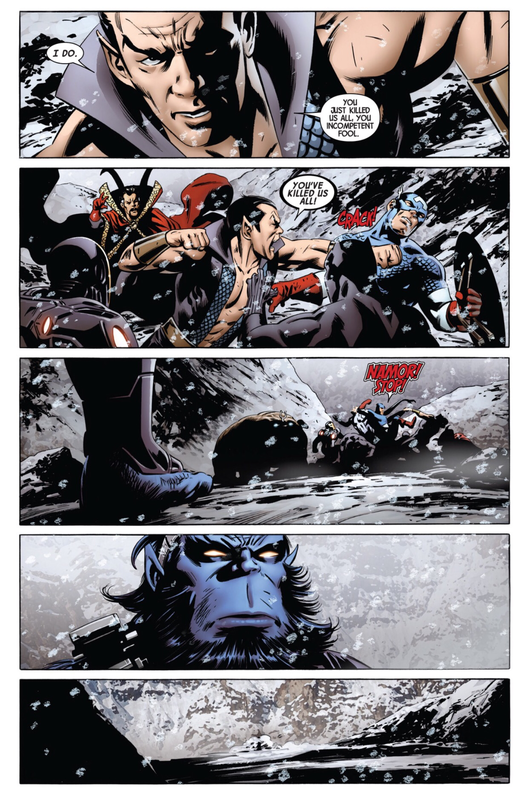 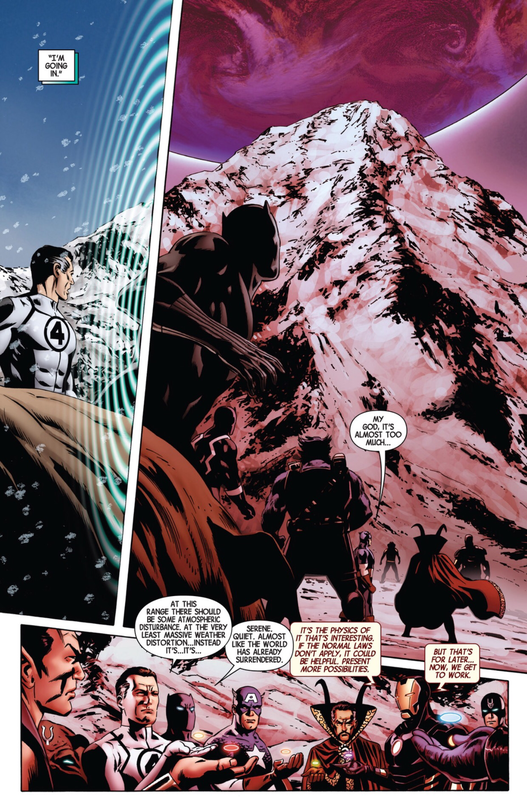 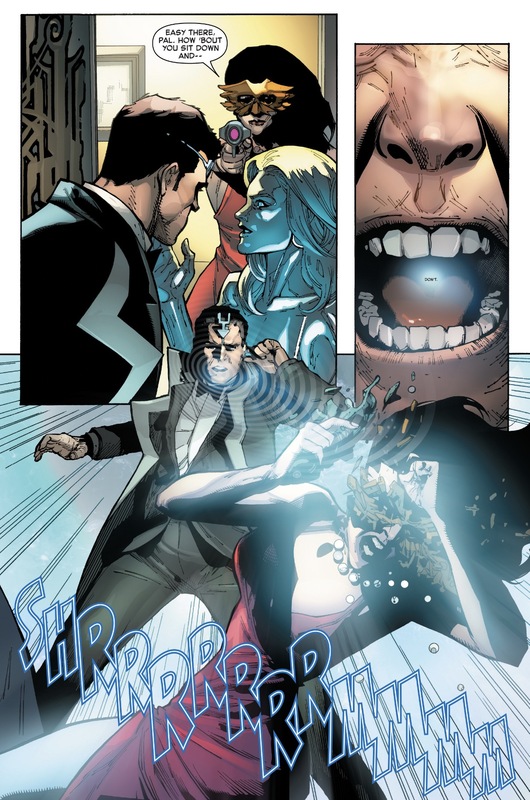 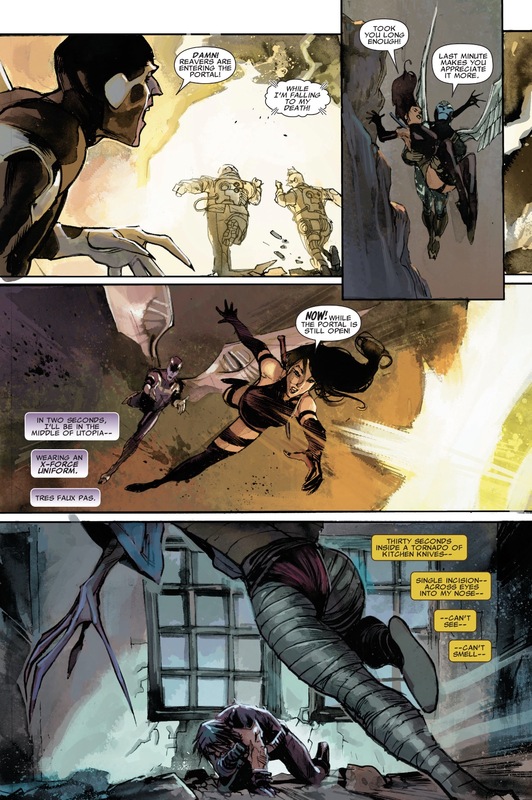 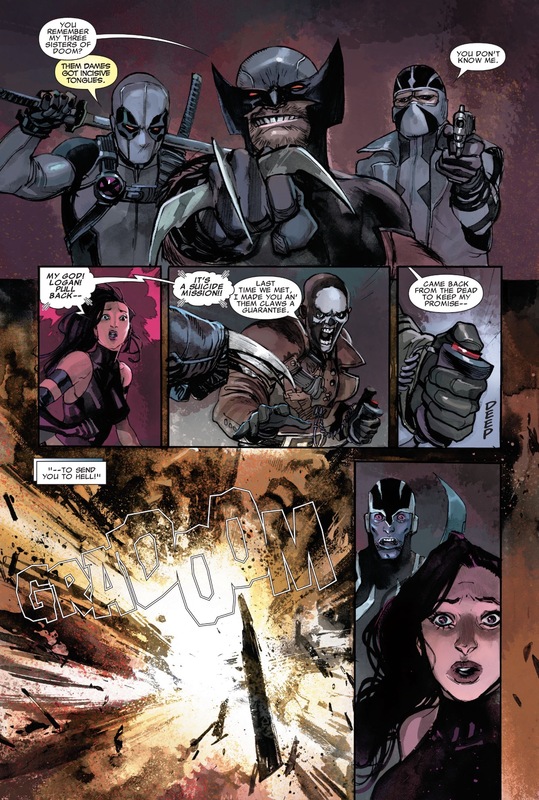 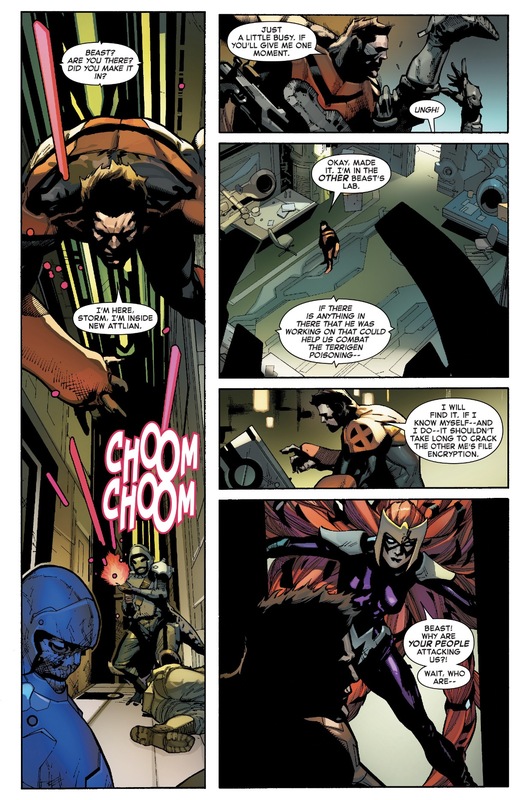 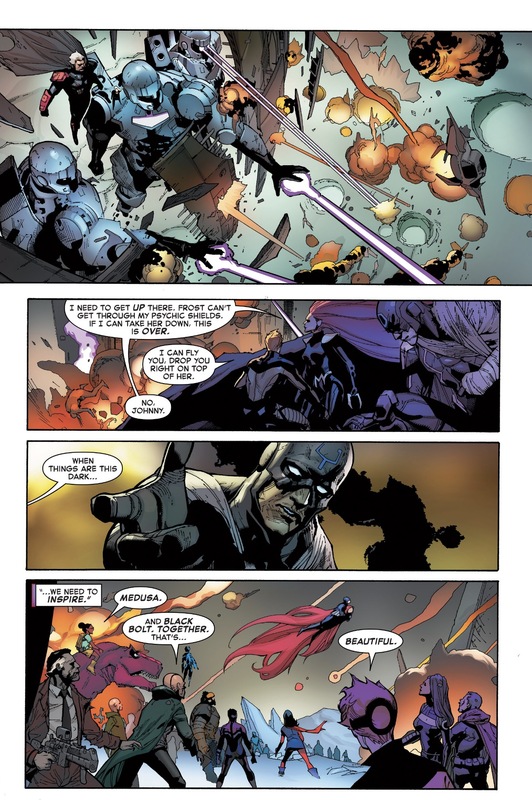 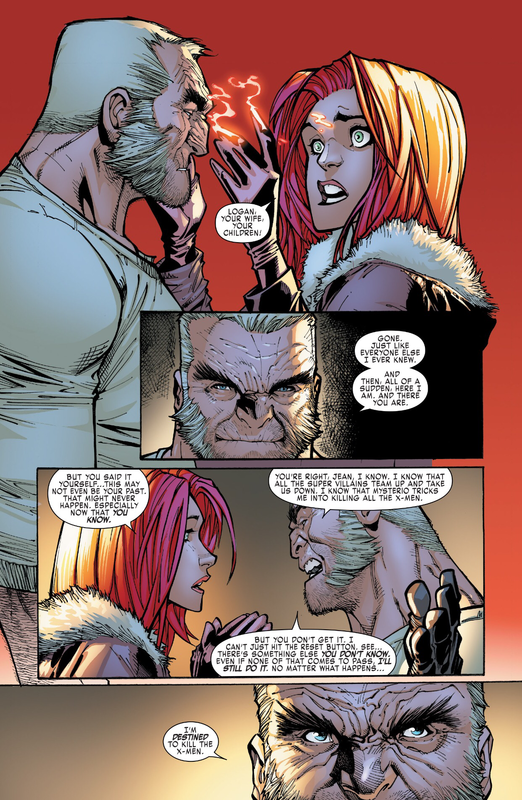 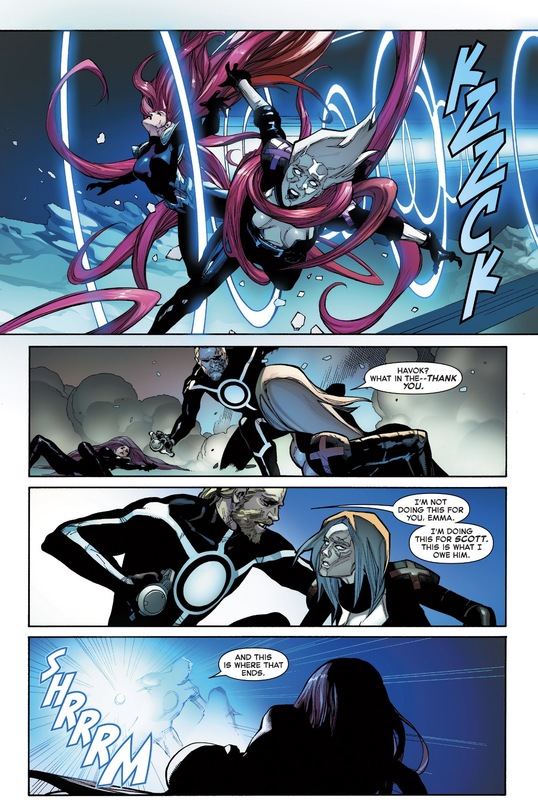 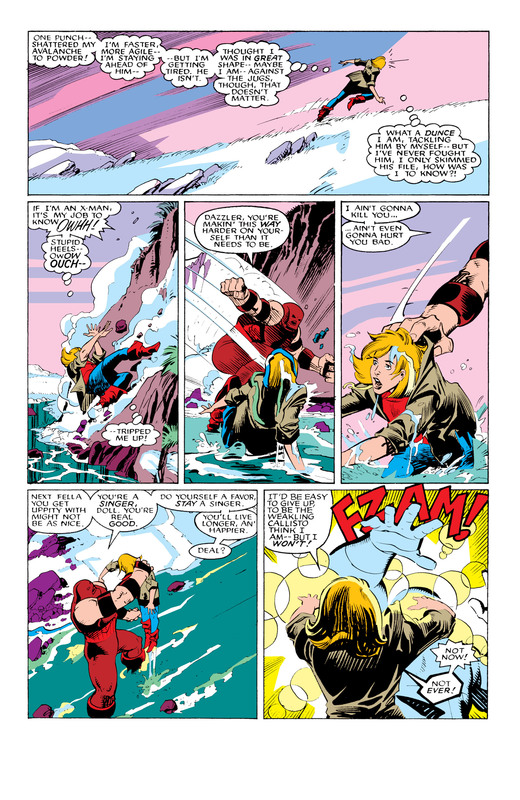 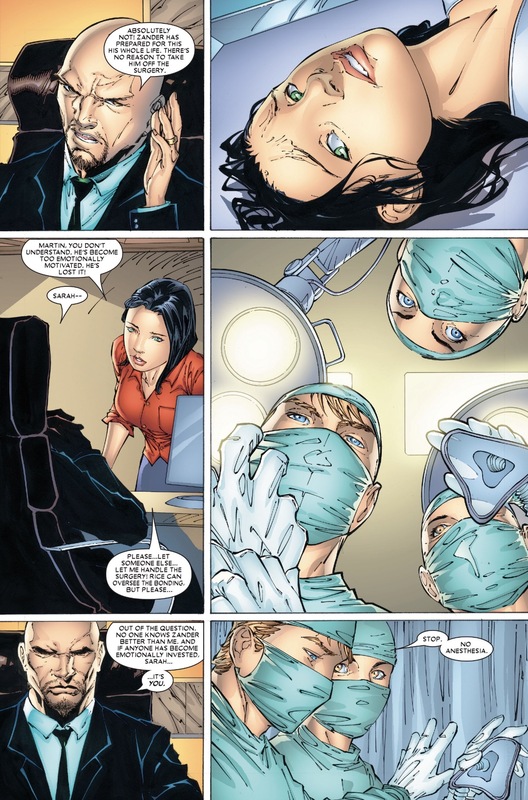 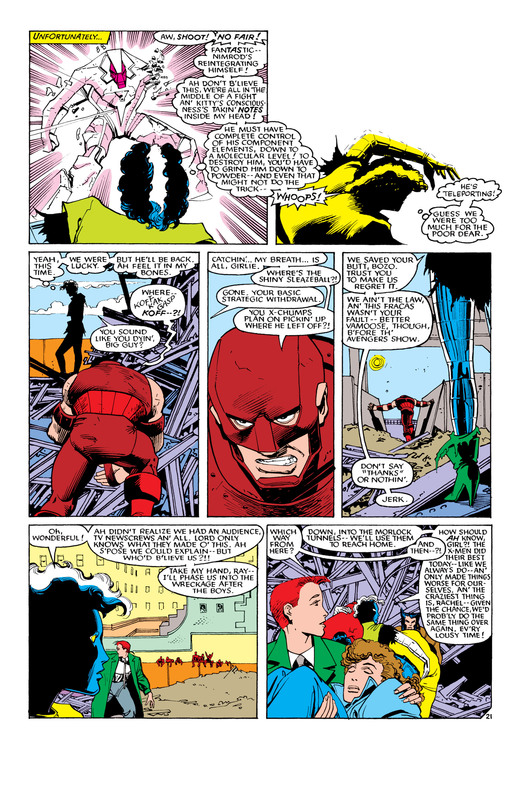 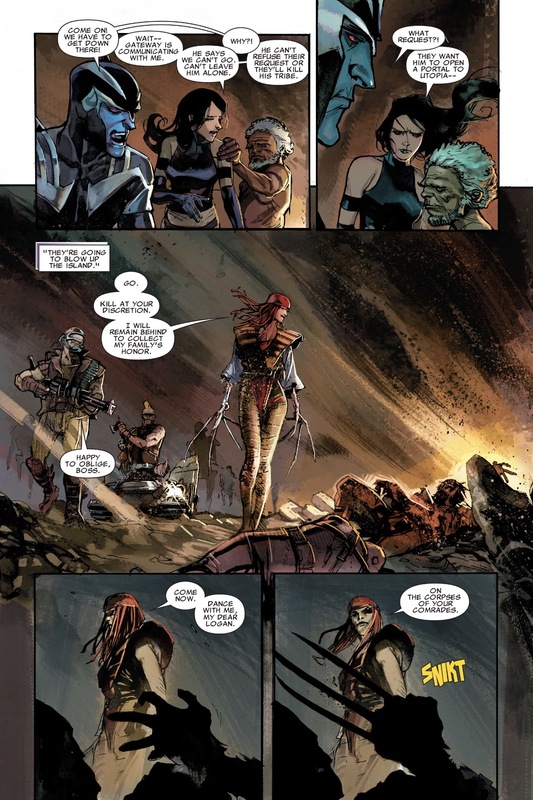 As the fight continues in the ocean, Psylocke is able to glean some information about the Marauders from Sabretooth’s mind, including information about Mr. Sinister. 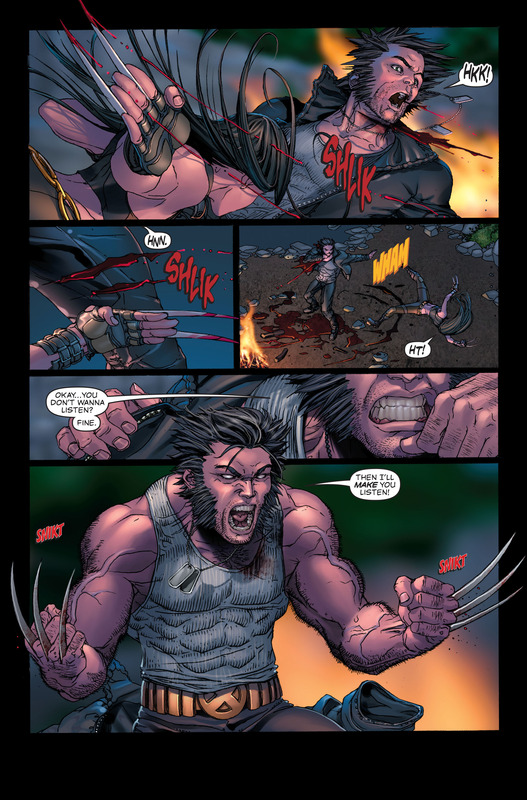 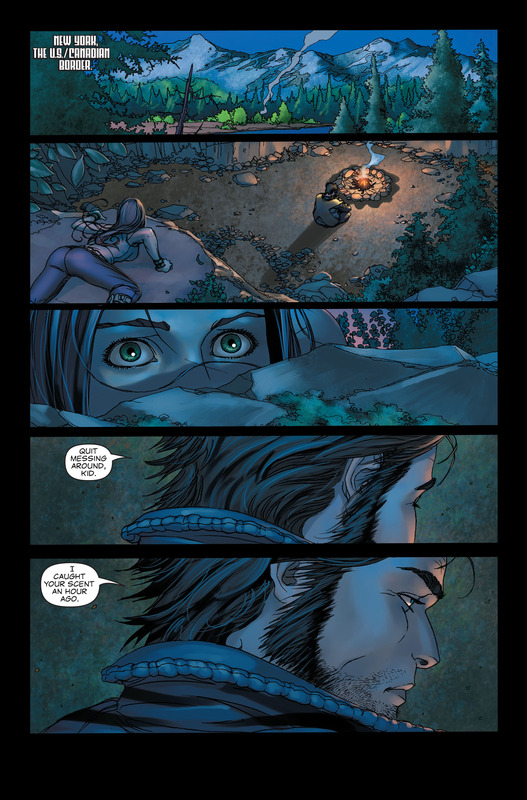 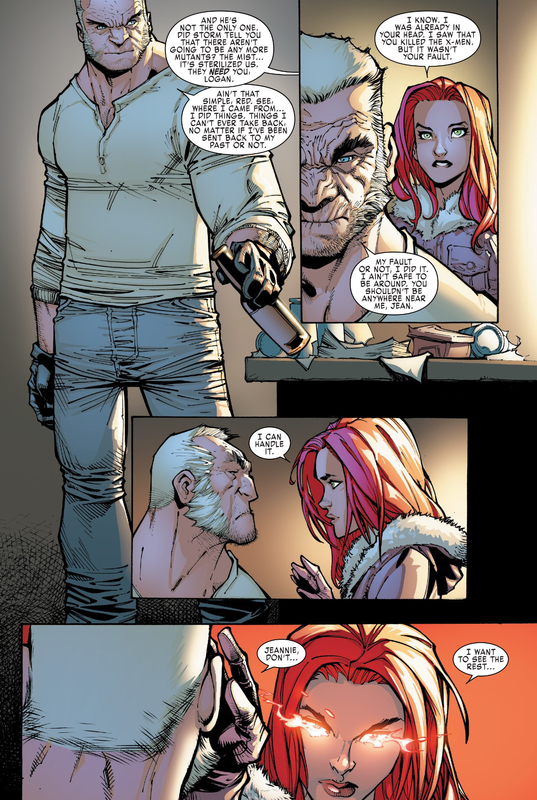 This entry was posted in Wolverine, X-Men on April 9, 2015 by lowbrowcomics. 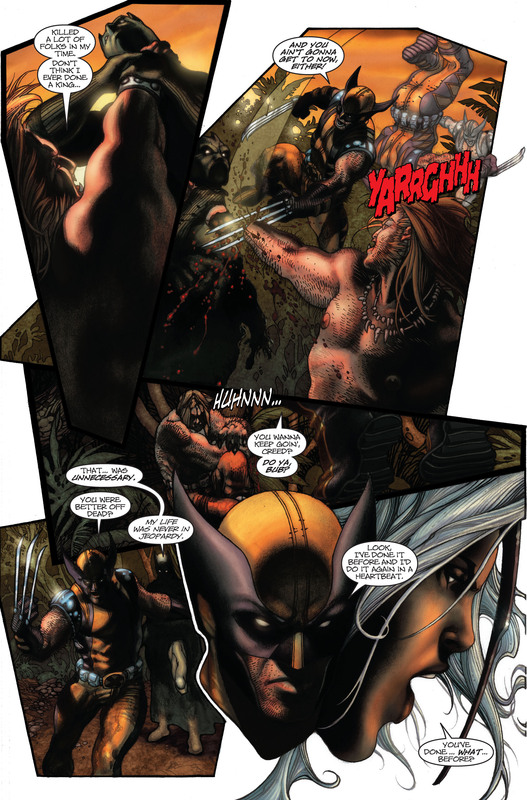 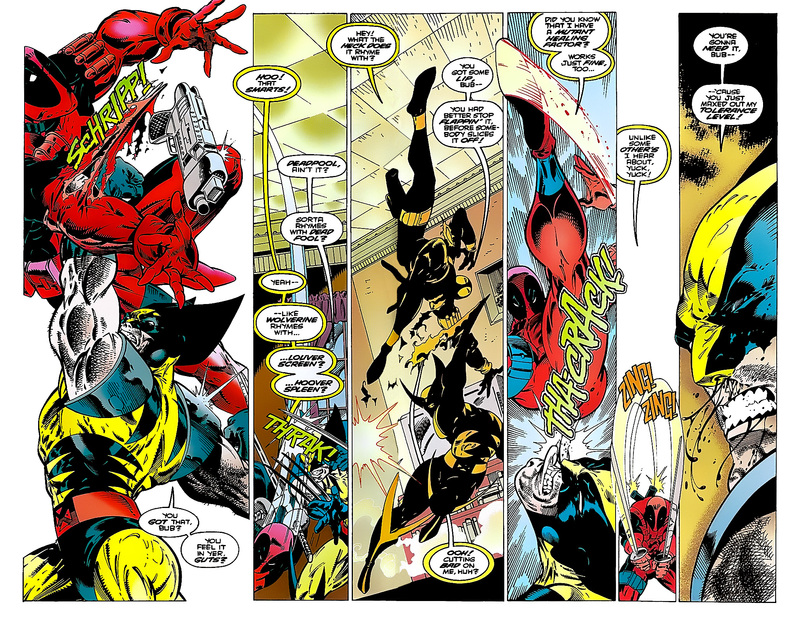 Mutant Massacre tie-in: Wolverine vs. Sabretooth, round 1, in “The Last Run.” Part 3 of 4. 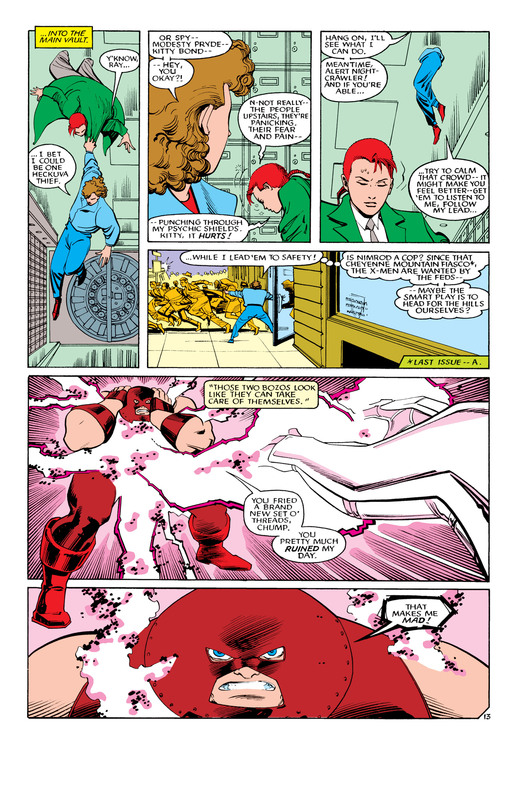 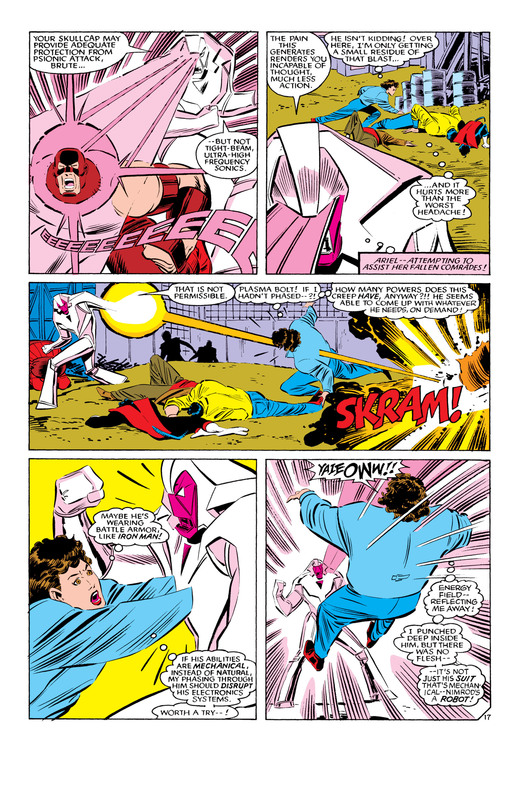 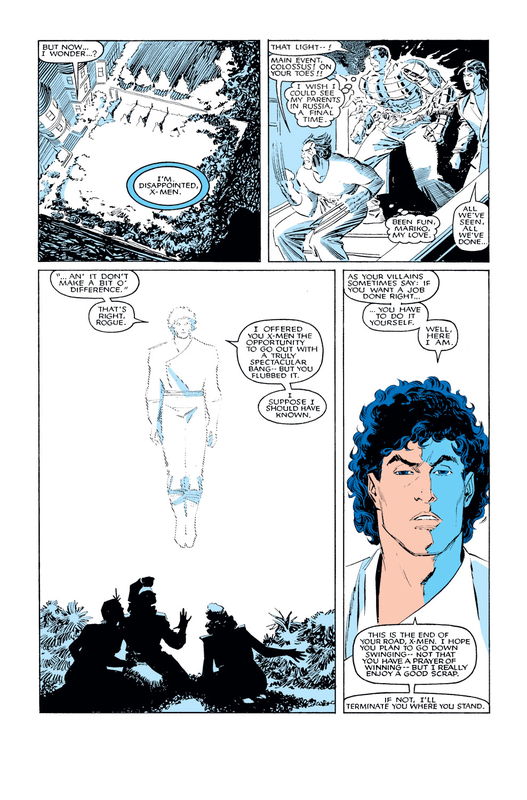 It’s Story continued from New Mutants #46 and Power Pack #27. 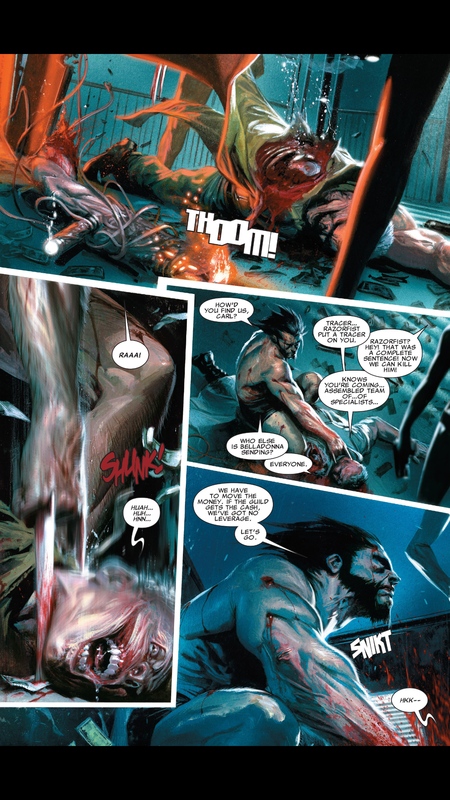 Wolverine vs. Sabretooth: Round 1! 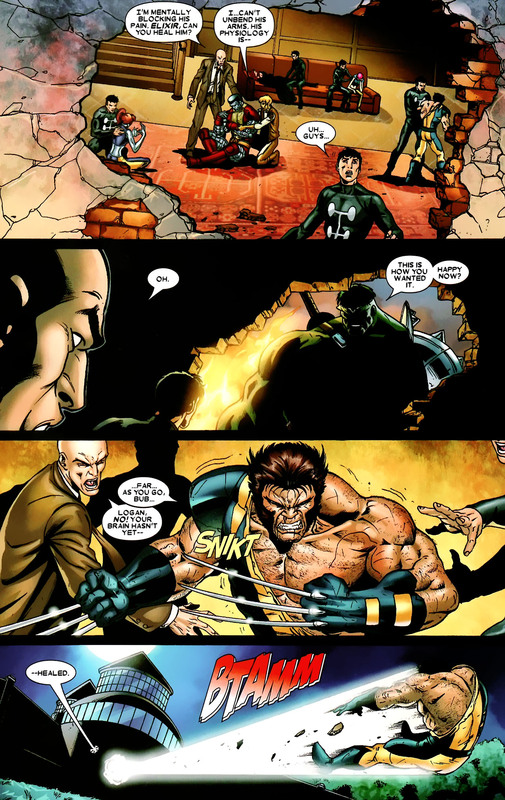 Wolverine returns to the Morlock tunnels and finds the mutant healer that may be able to help the wounded back at the Mansion. 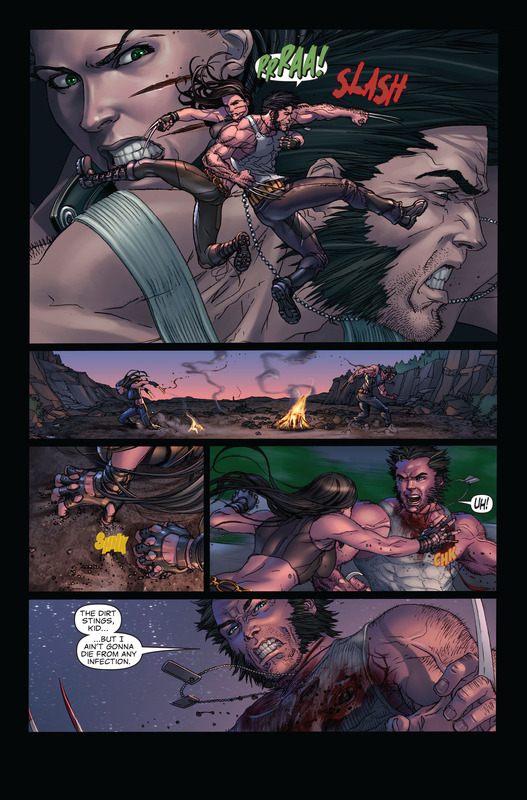 The only thing standing in his way is the deadly Sabretooth, a mutant killer Logan apparently has a past with. 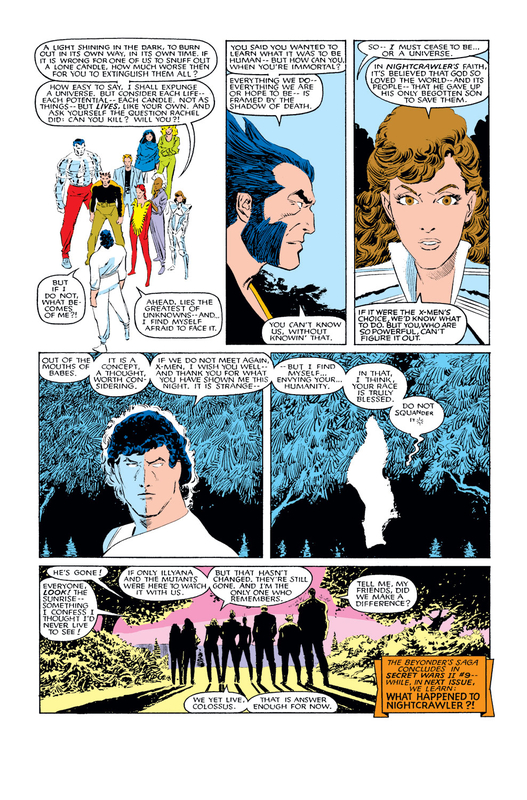 This entry was posted in Wolverine, X-Men and tagged massacre, morlocks, mutant, sabertooth, uncanny, weapon x, wolverine, x-men on April 9, 2015 by lowbrowcomics. 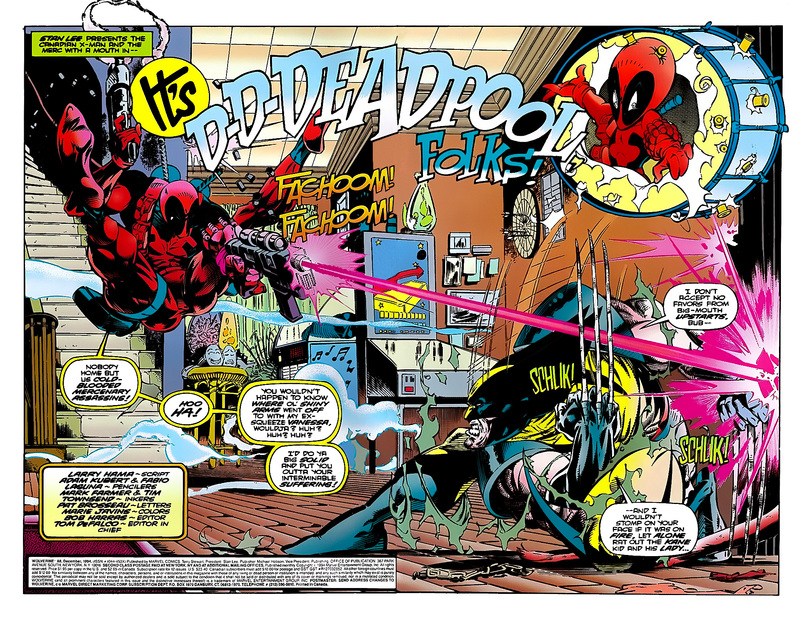 DEADPOOL – 11 New Pictures of Ryan Reynolds in costume on set. 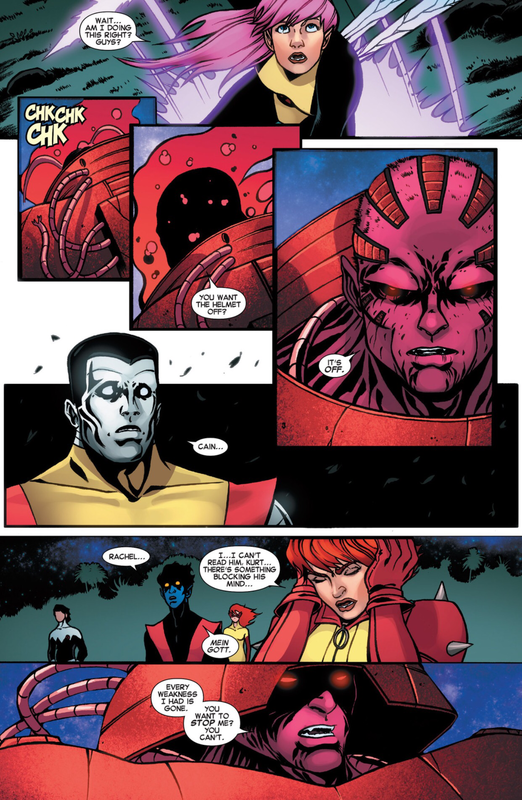 This entry was posted in Deadpool, X-Men on April 6, 2015 by lowbrowcomics. 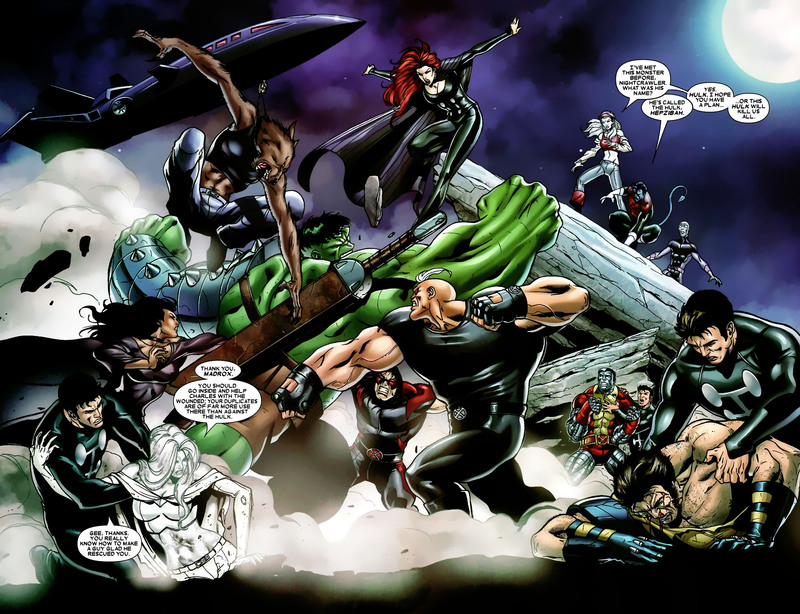 “Age of Apocalypse” is a 1995–1996 comic book crossover story line published in the X-Men franchise of books by Marvel Comics. 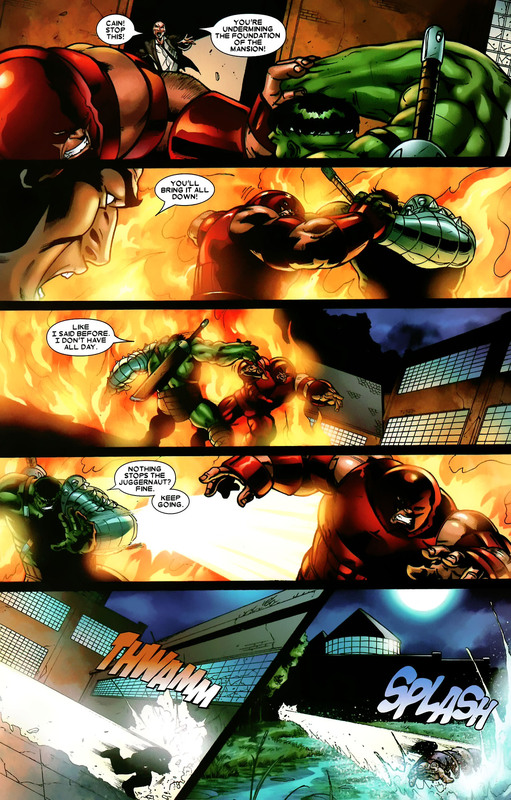 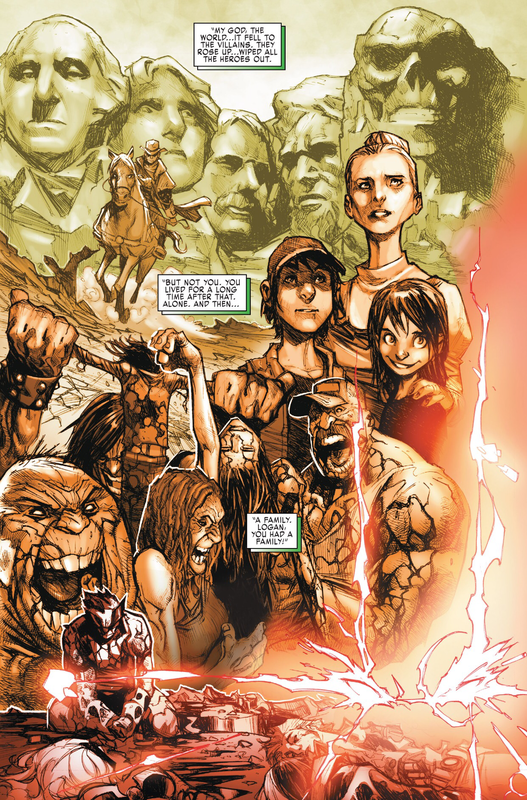 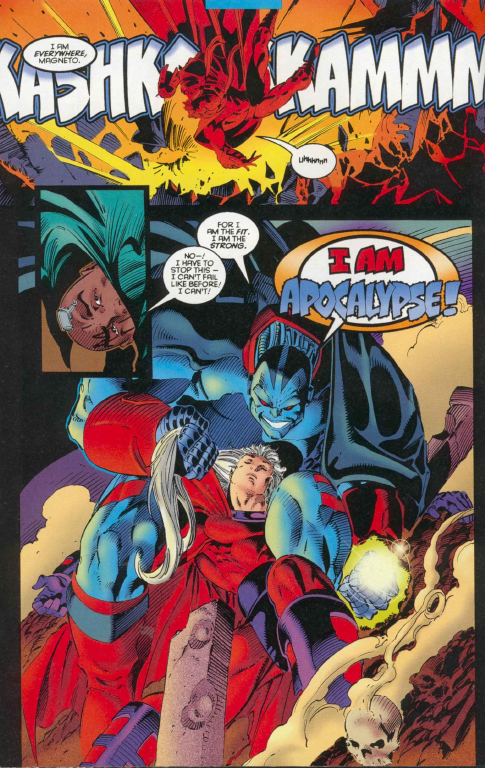 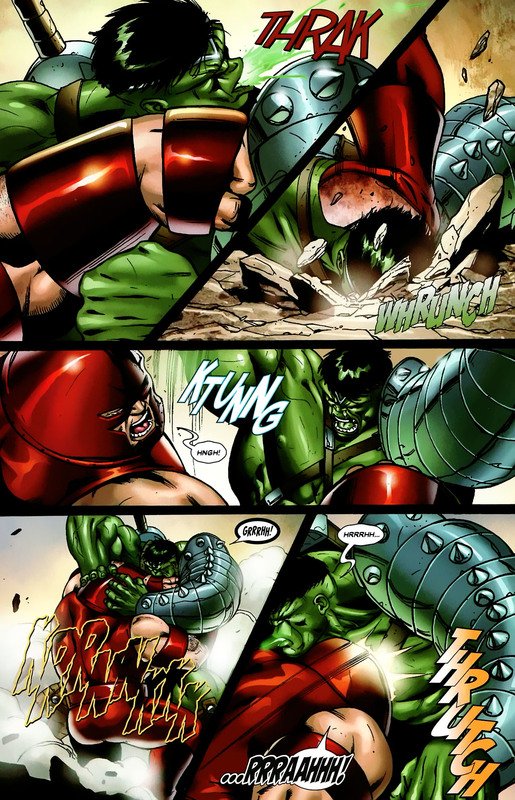 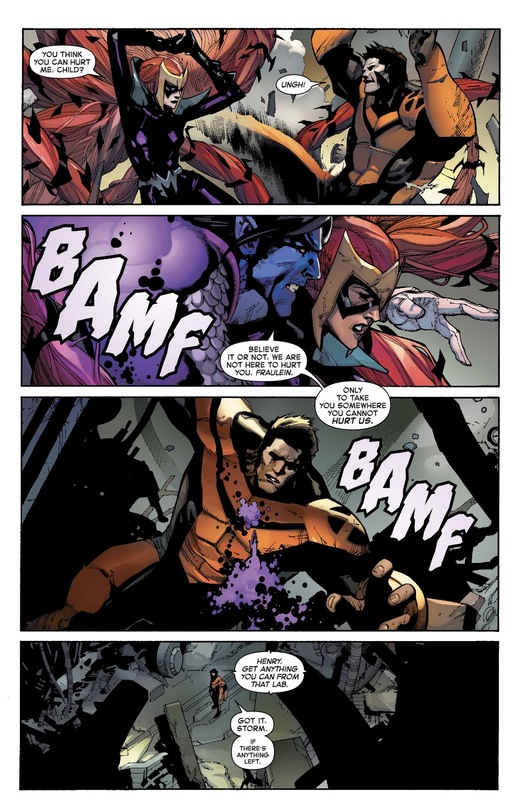 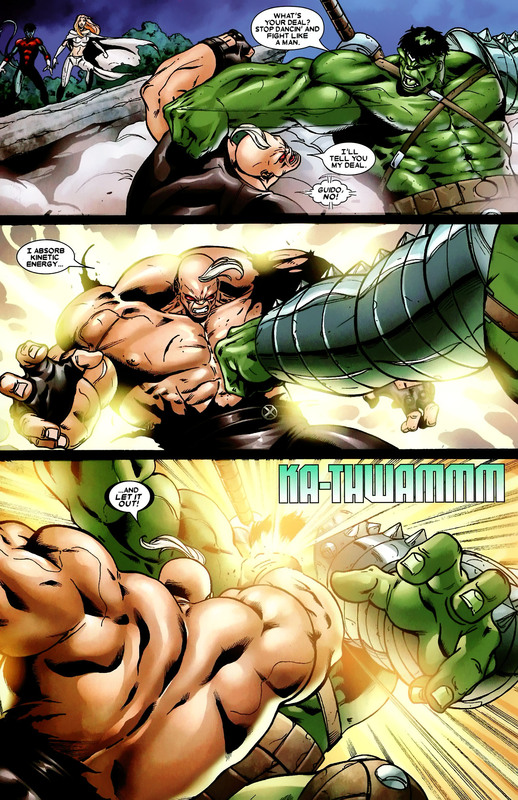 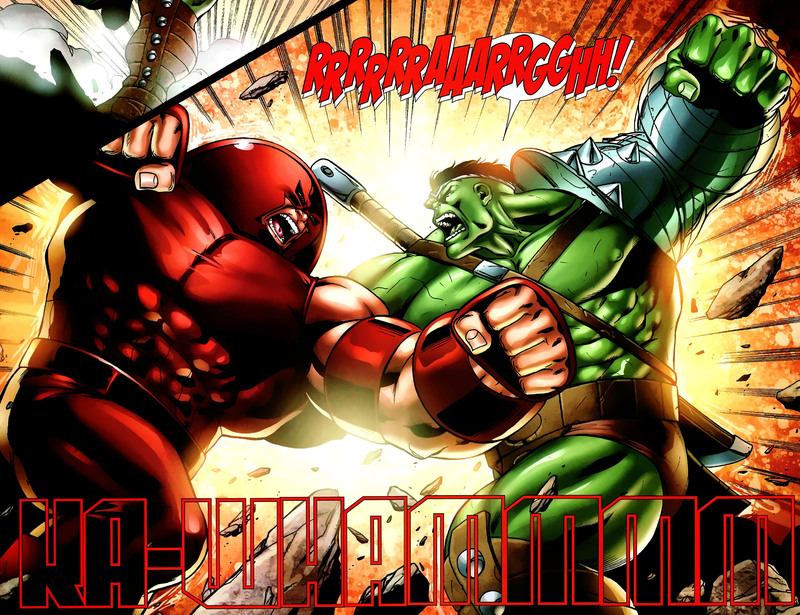 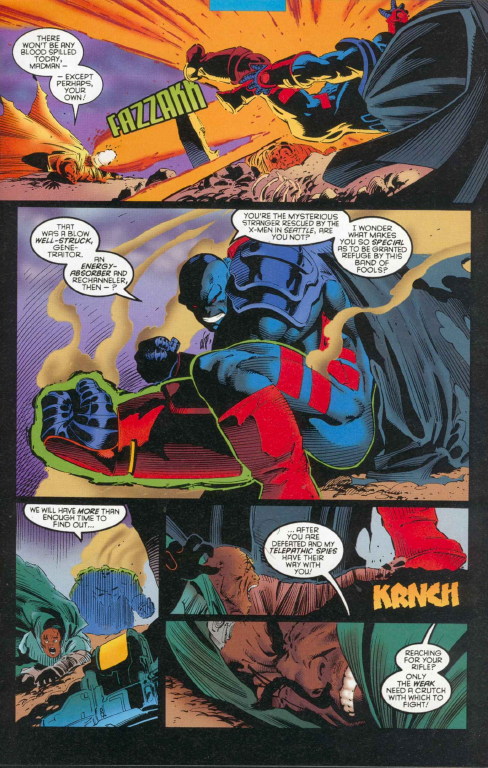 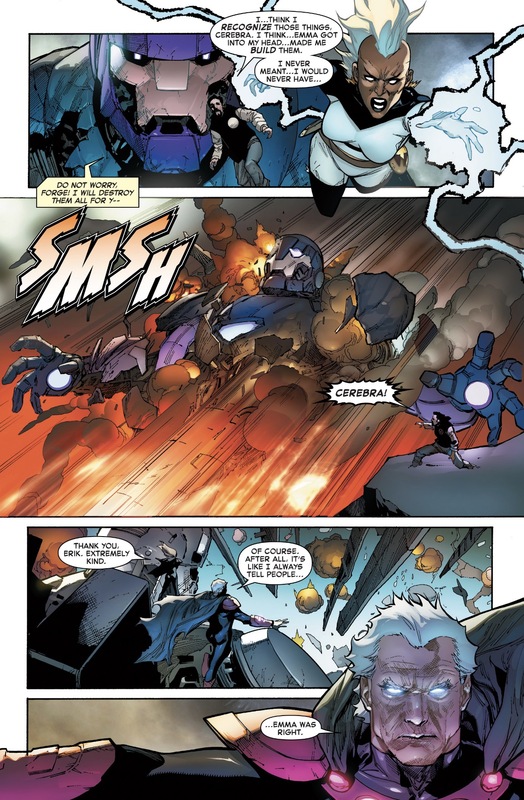 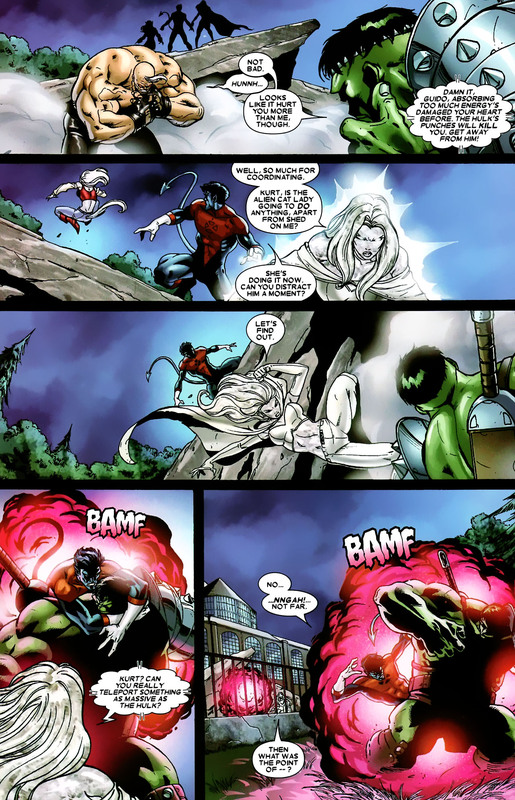 The Age of Apocalypse briefly replaced the universe of Earth-616 and had ramifications in the main Marvel Comics universe when the original timeline was restored. 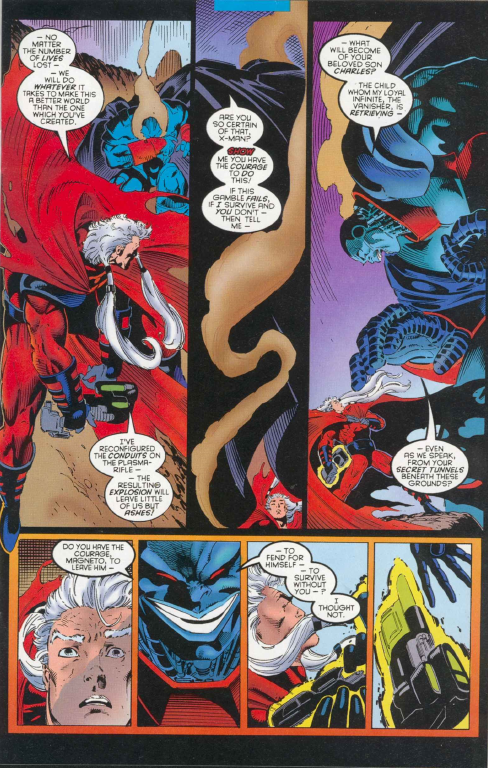 It was later retconned as having occurred in the alternate universe of Earth-295. 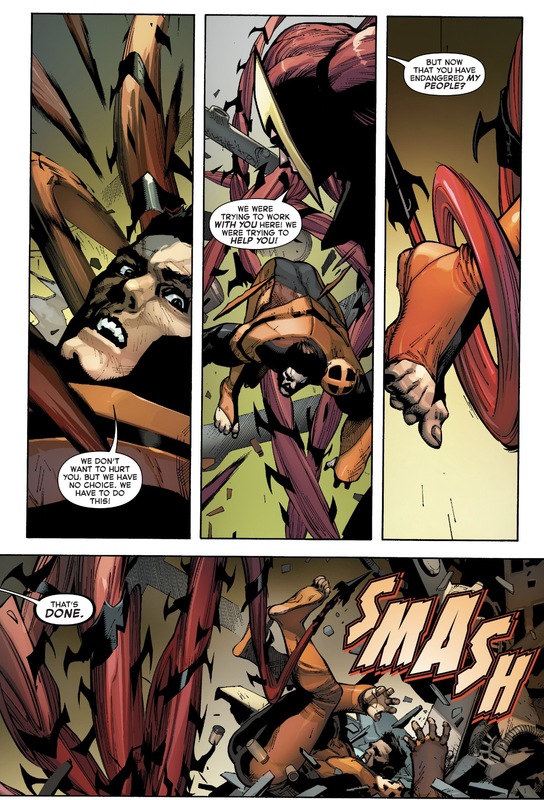 Legion (David Haller), a psionic mutant on Earth and son of Professor Charles Xavier, travels back in time with the intention of killing Magneto. 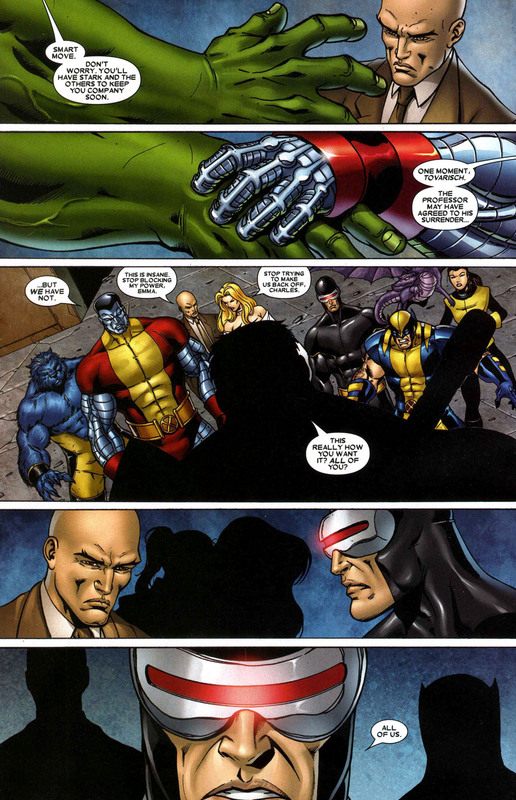 However, Legion traveled to a time when Magneto and Xavier were still friends. 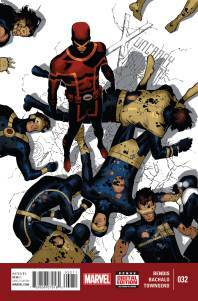 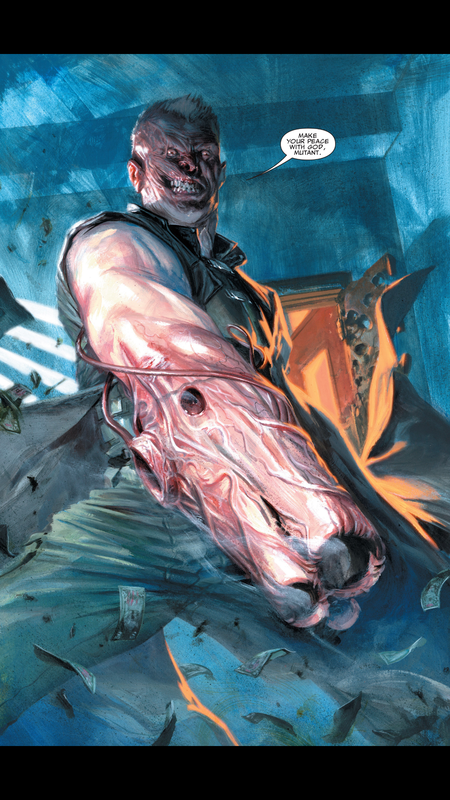 As Xavier dies trying to protect Magneto, Legion vanishes, and a new timeline is created. 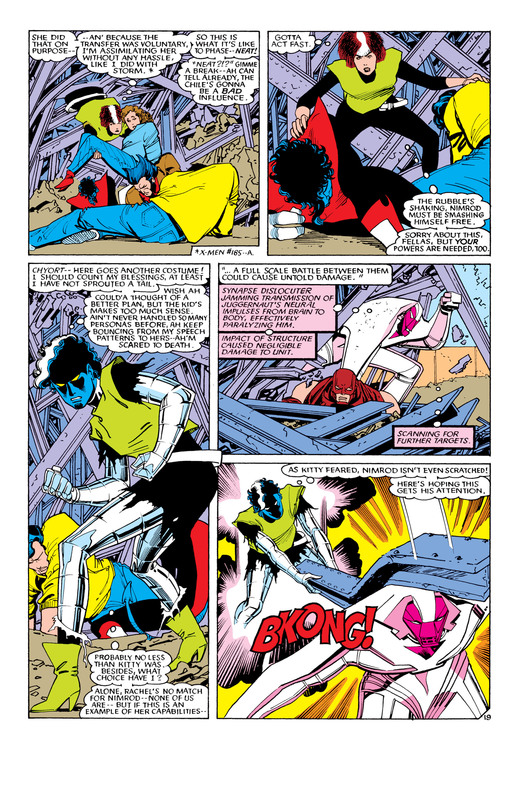 The only person aware of how history has changed is Bishop, a time traveling mutant who followed Legion. 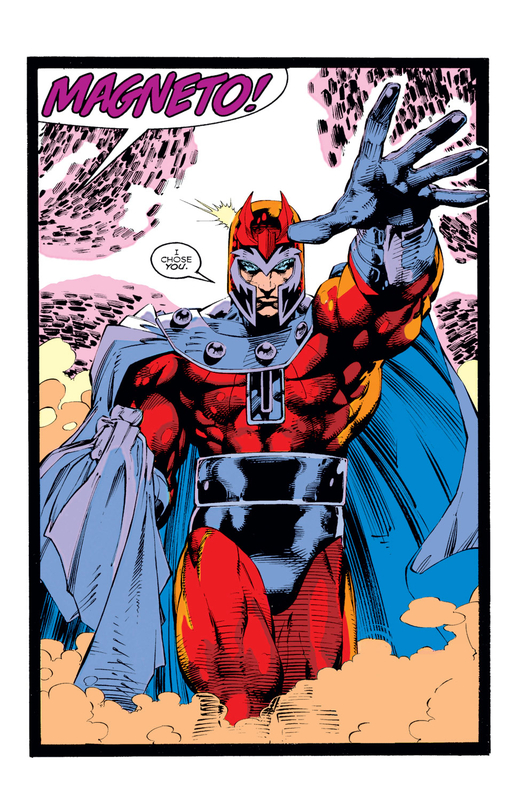 Because of Xavier’s sacrifice, Magneto comes to believe in his late friend’s dream of a peaceful coexistence between humans and mutants. 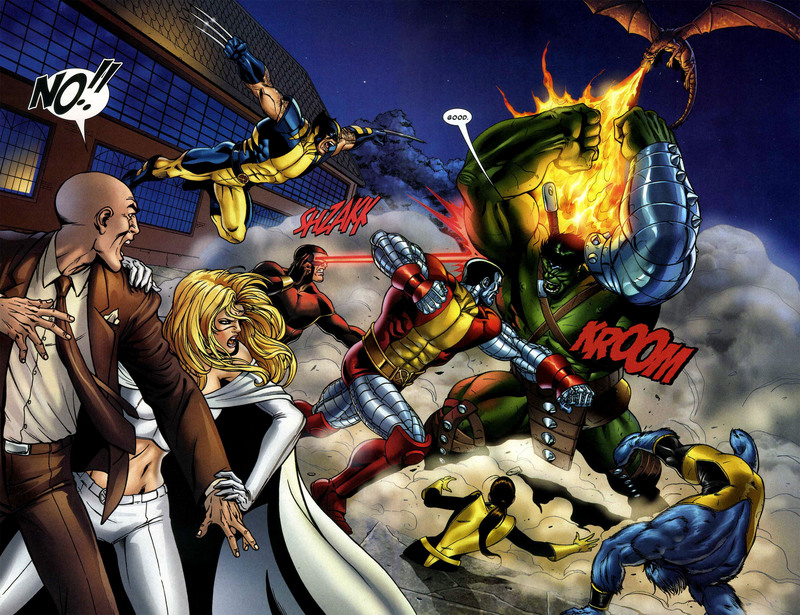 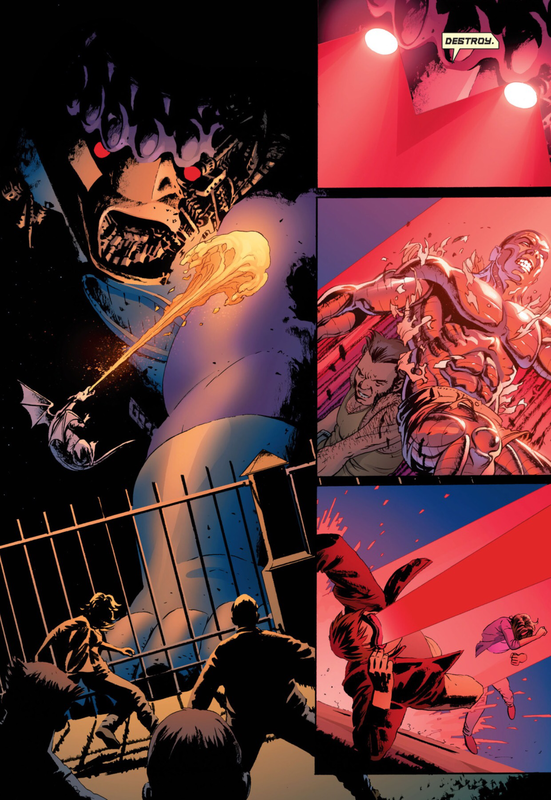 Apocalypse, an immortal mutant villain, was monitoring the fight. 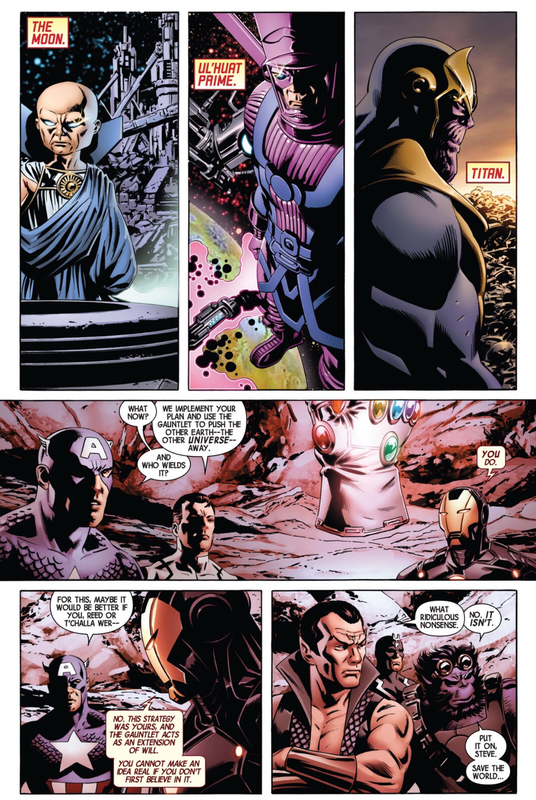 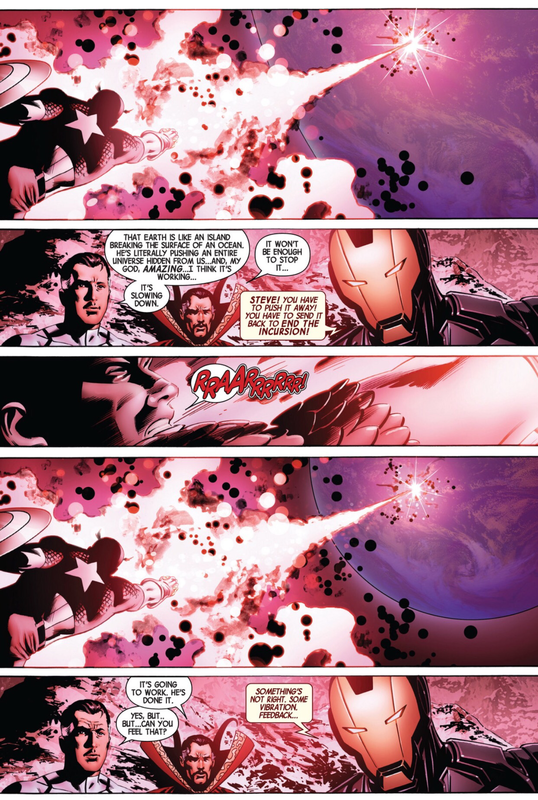 He chooses this moment as the perfect time to begin his world conquest, which did not happen in the mainstream Marvel universe for another ten years. 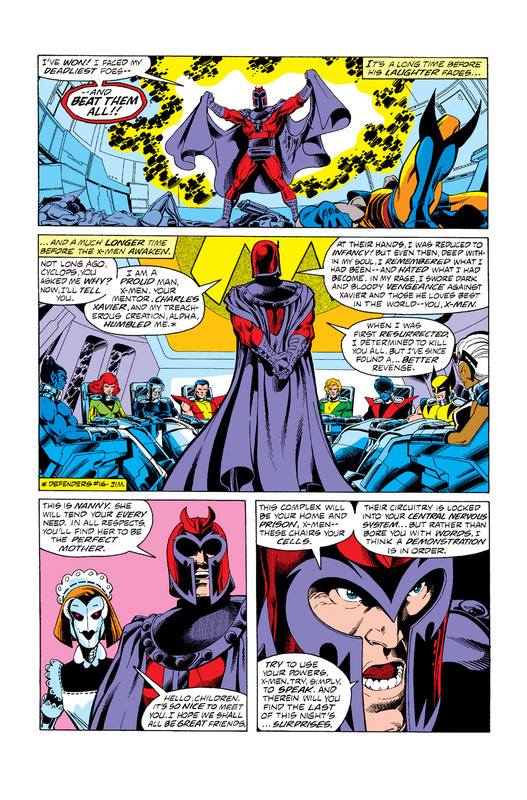 Magneto assembles the X-Men just as Apocalypse begins his war. 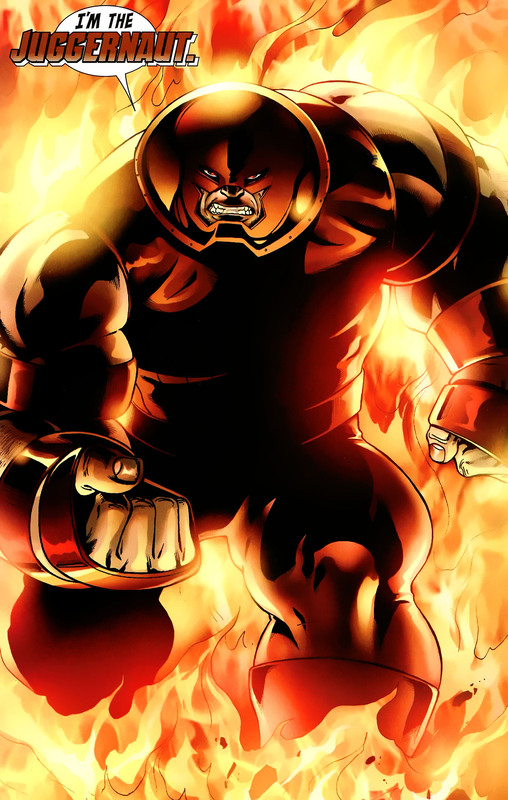 Despite the X-Men’s resistance, Apocalypse conquers all of North America and eventually mutants are considered the ruling class. 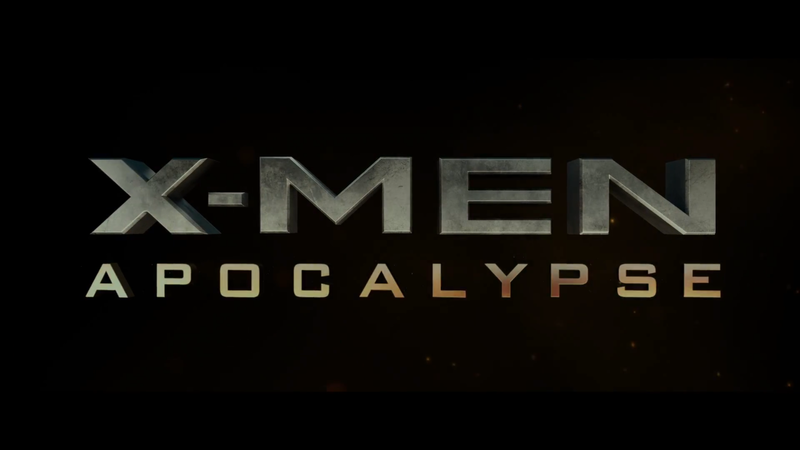 Apocalypse also initiated a genocidal campaign called “cullings” killing millions of humans. 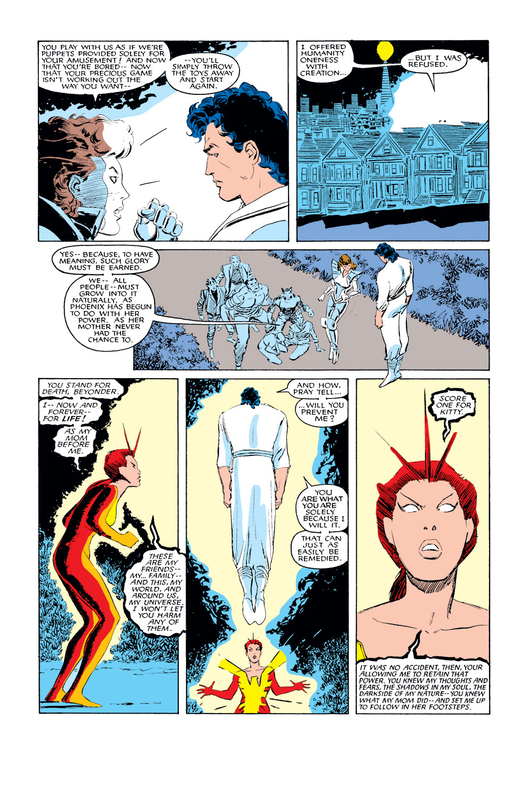 To further ensure that no one was left to challenge him or undo the circumstances that led to his reign, he had everyone with telepathic or chronal abilities hunted down. 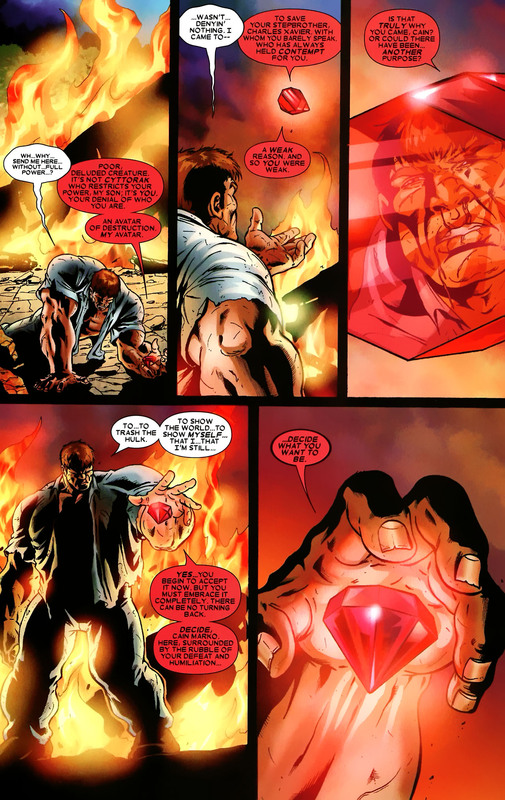 Meanwhile, the changes in the timeline result in a destructive crystallization wave created by the M’Kraan Crystal. 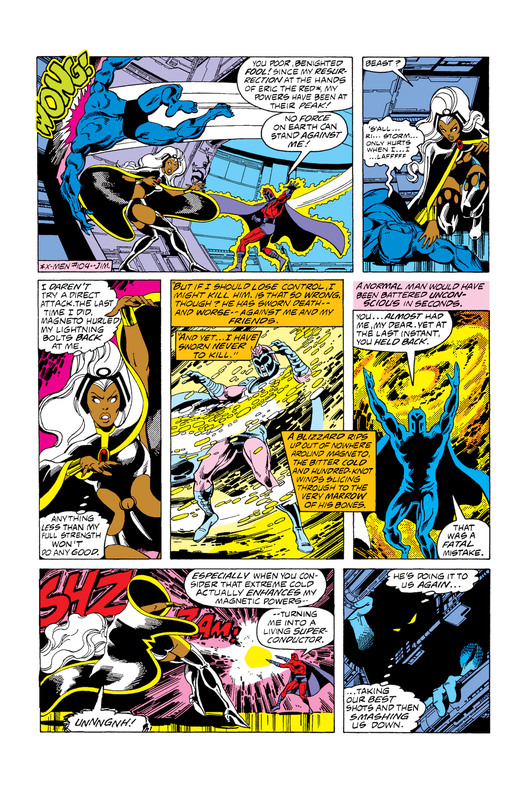 The Amazing X-Men consist of team leader Quicksilver and Storm, Dazzler, Banshee, Iceman, and Exodus. 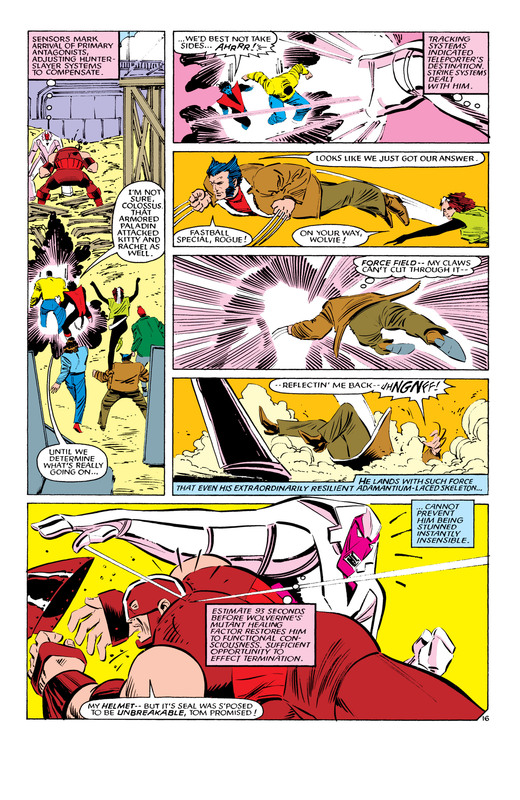 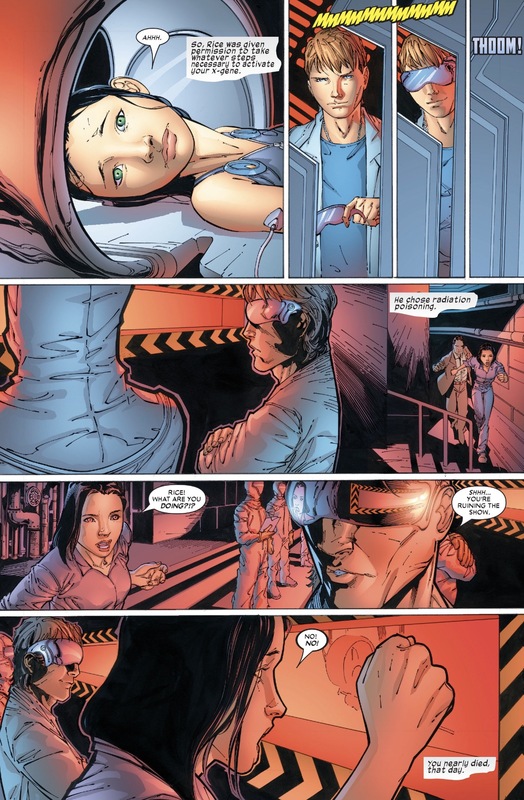 The team is sent to Maine by Magneto to aid in the evacuation of humanity to Europe. 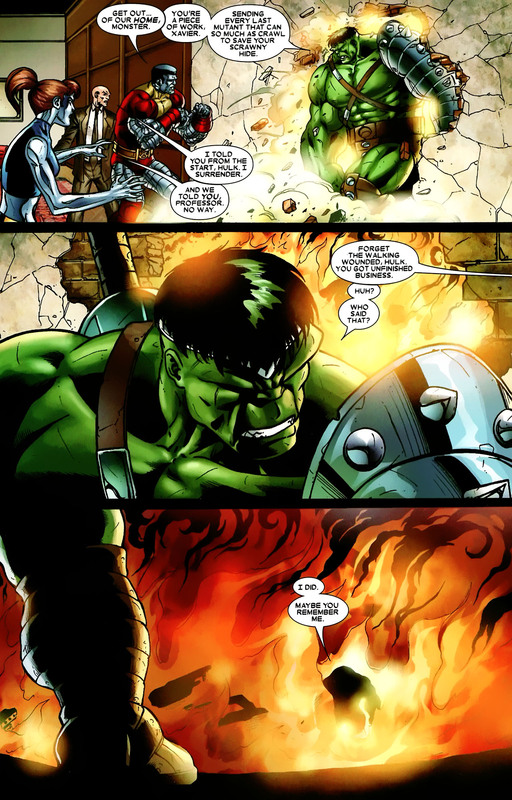 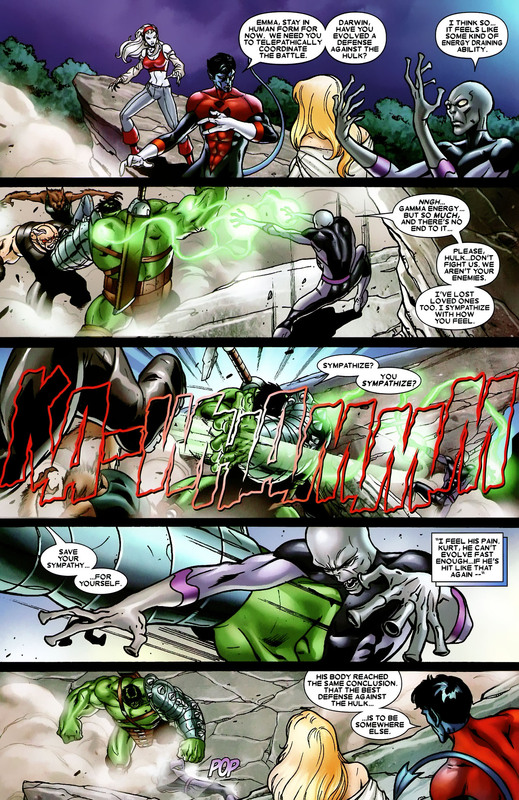 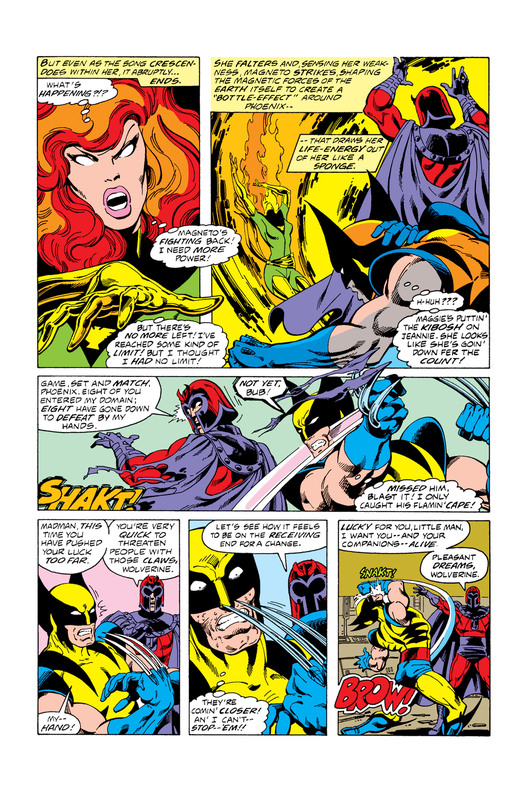 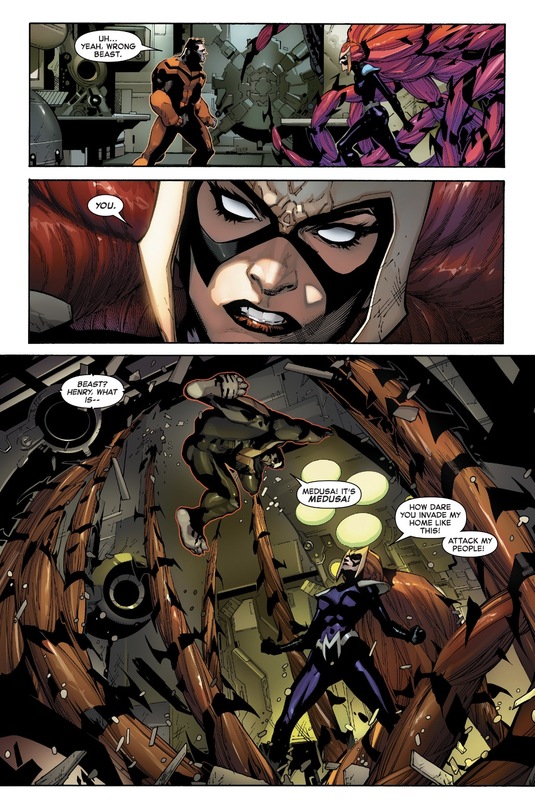 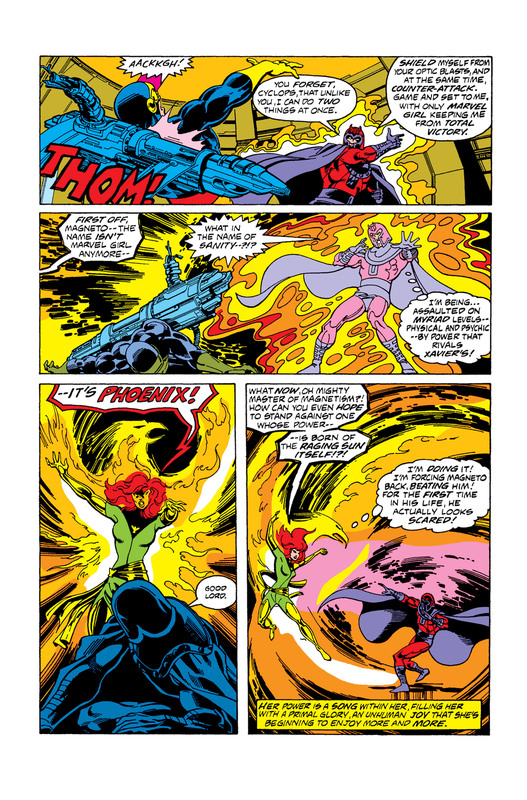 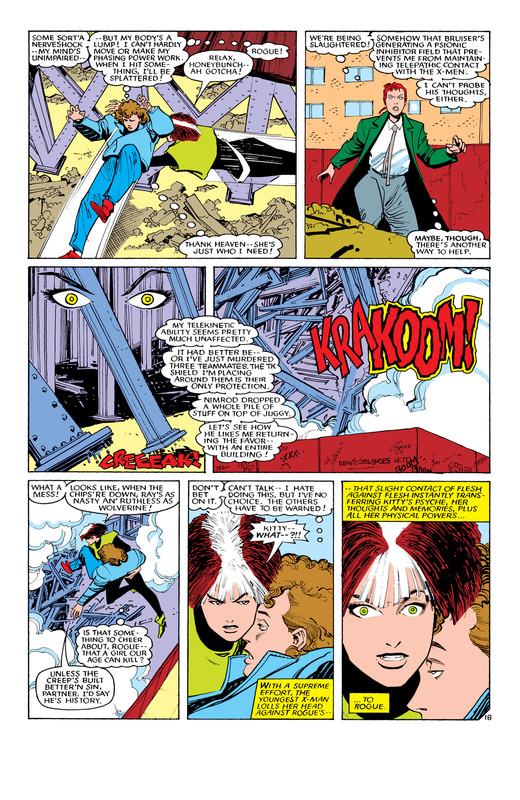 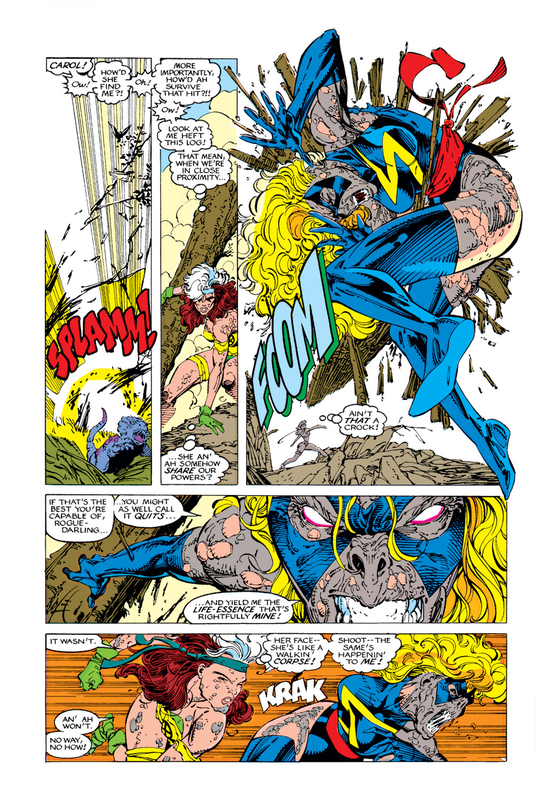 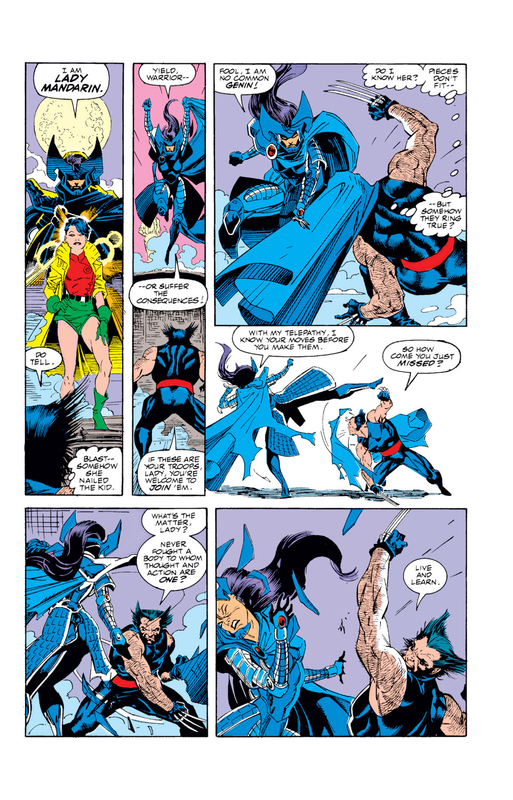 During this mission, the team fights Apocalypse’s Brotherhood of Chaos, as well as the Horseman Abyss, who is defeated (but not killed) by Banshee. 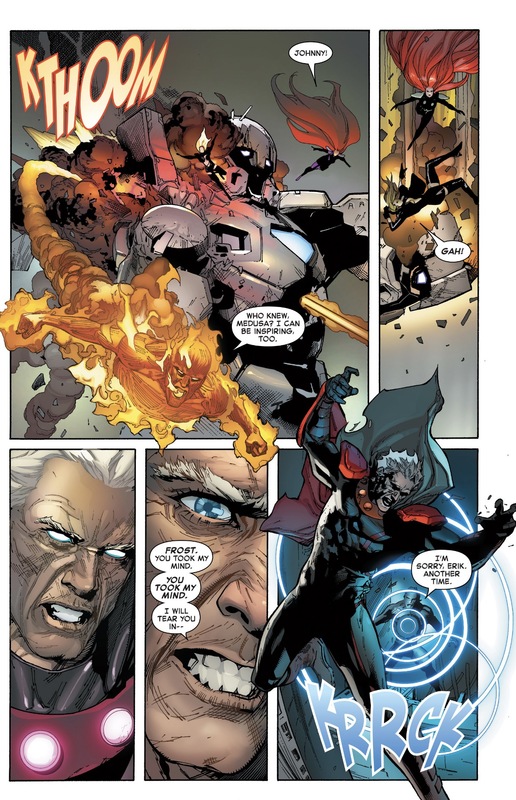 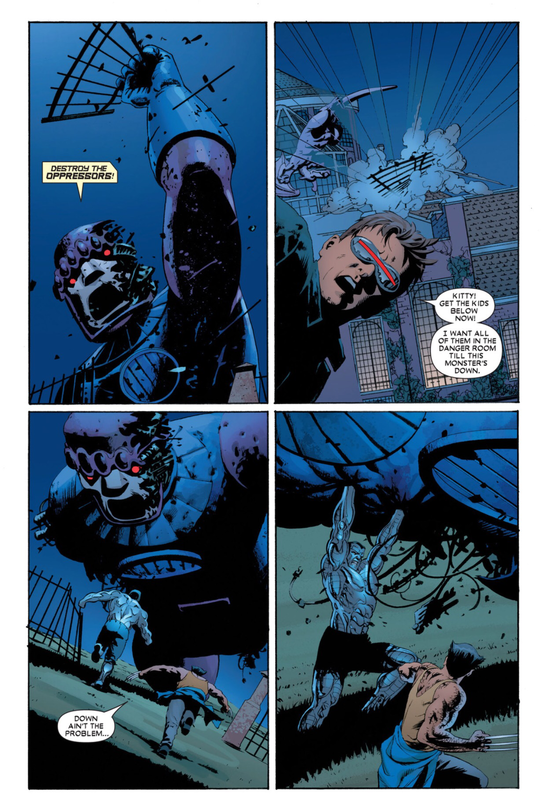 During their absence from the Xavier Mansion, Magneto and Bishop are attacked by Apocalypse himself, who captures them both. 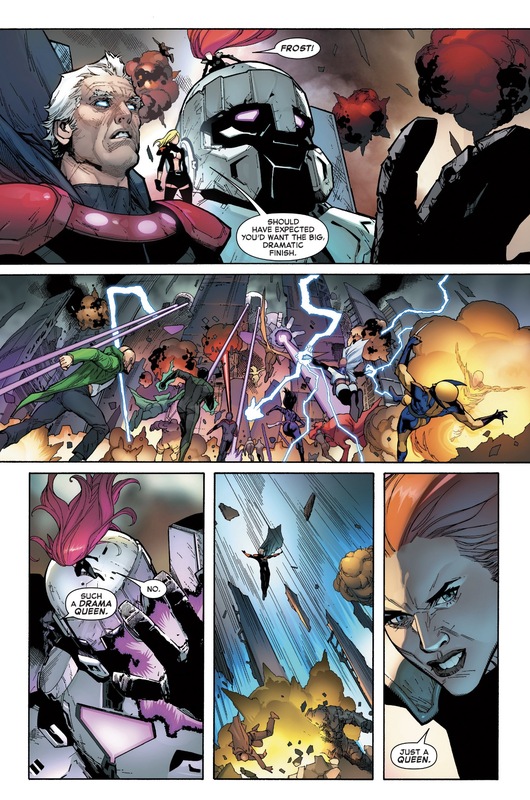 Fulfilling their mission, Quicksilver splits up his team to help the other X-Men: sending Iceman to rendezvous with Rogue’s team (the Astonishing X-Men) and Dazzler and Exodus to find Magneto’s son, Charles. 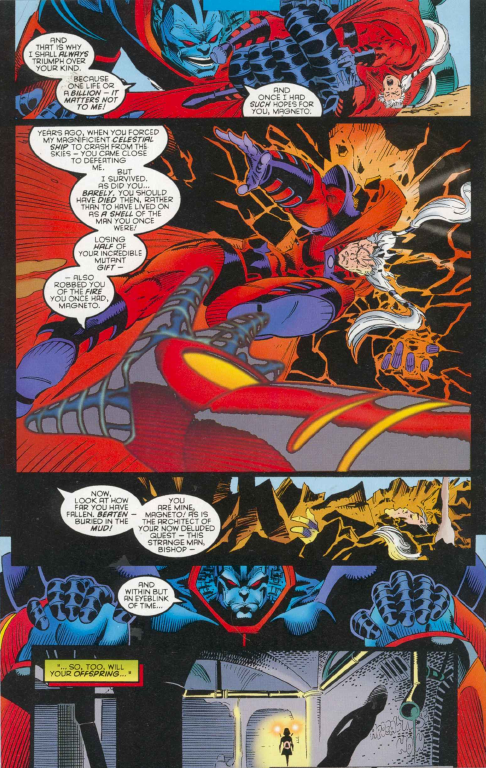 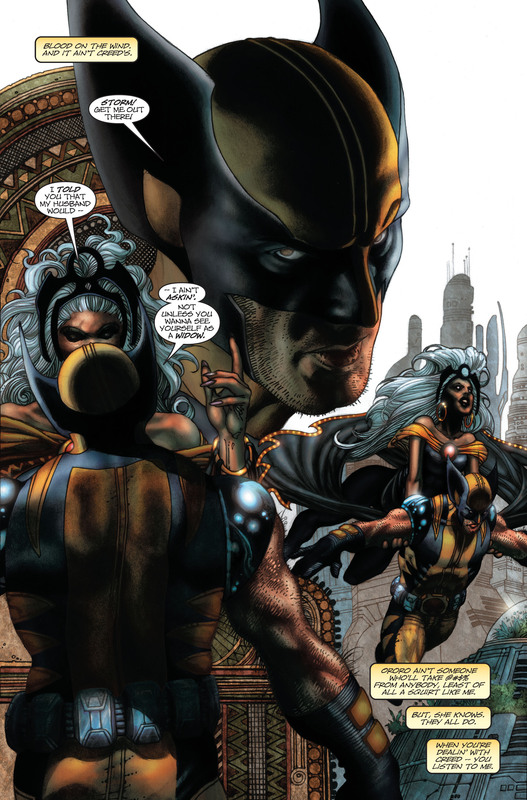 Finally, Quicksilver, Storm, and Banshee go to rescue Bishop, who is in the hands of the Madri, Apocalypse’s priests. 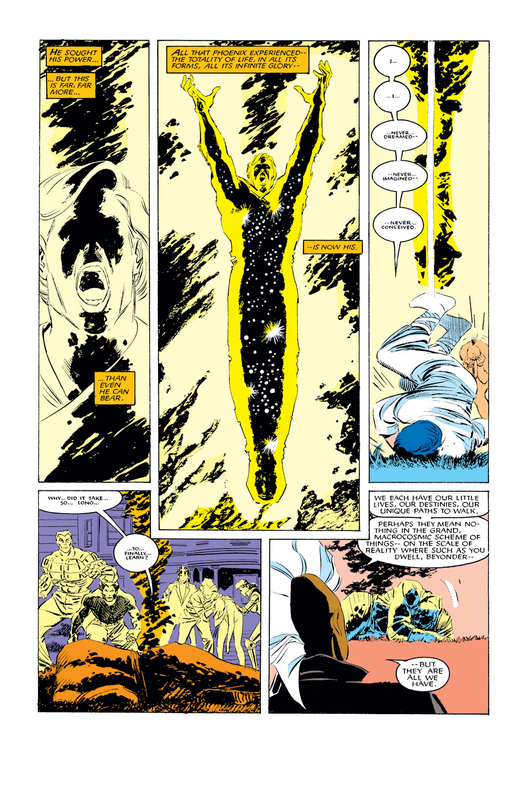 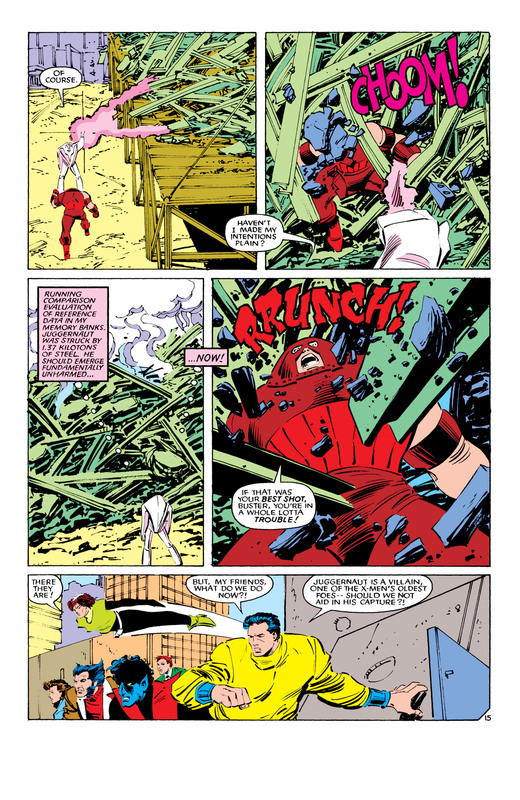 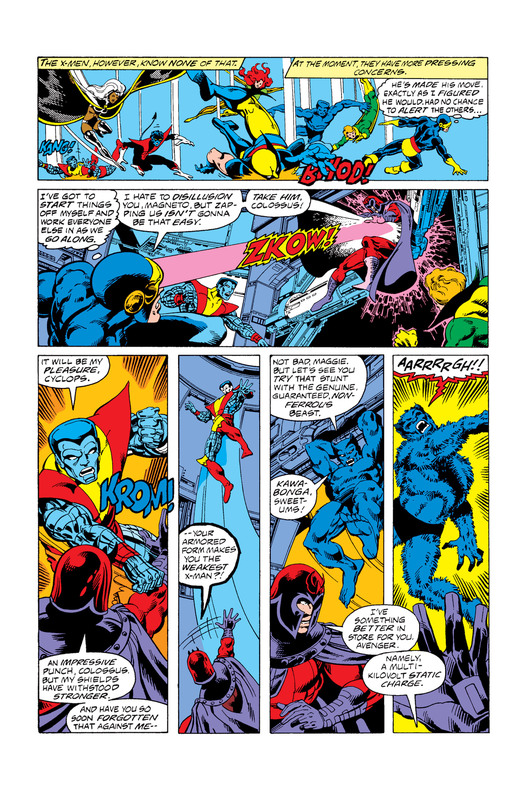 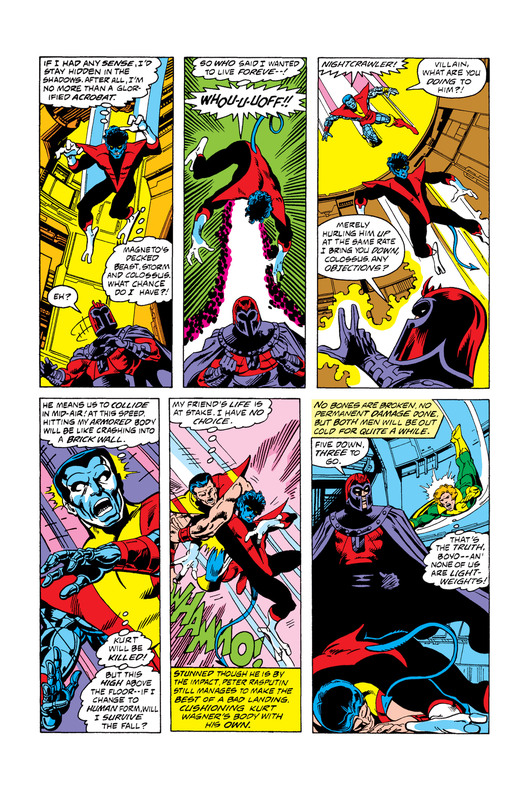 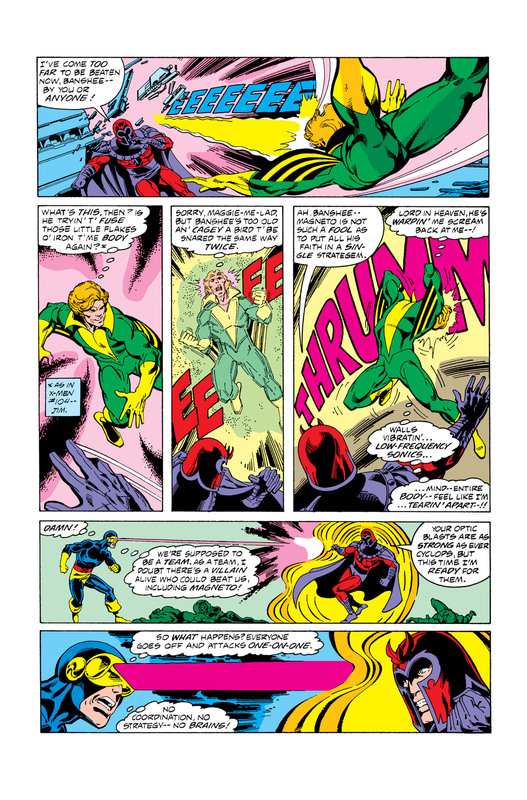 This entry was posted in X-Men and tagged age of apocalypse, apocalypse, banshee, beast, colossus, cyclops, dazzler, grey, iceman, jean, m'krann, magneto, quicksilver, storm, x-men on March 30, 2015 by lowbrowcomics.